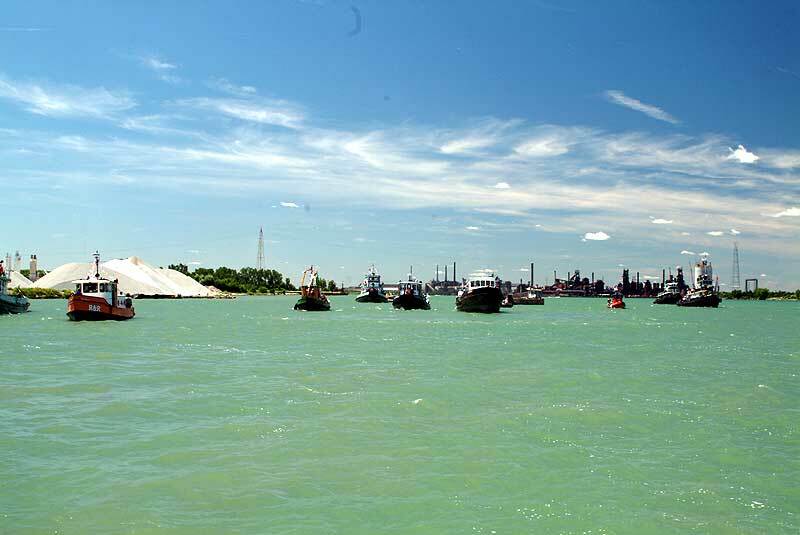 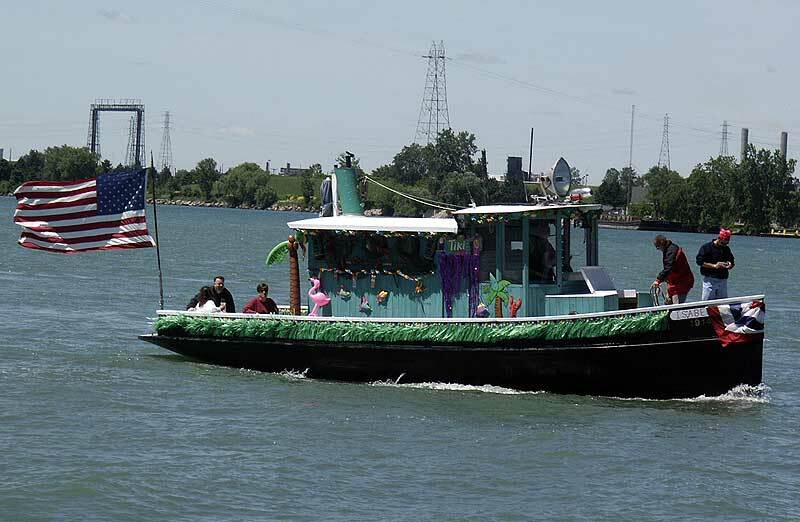 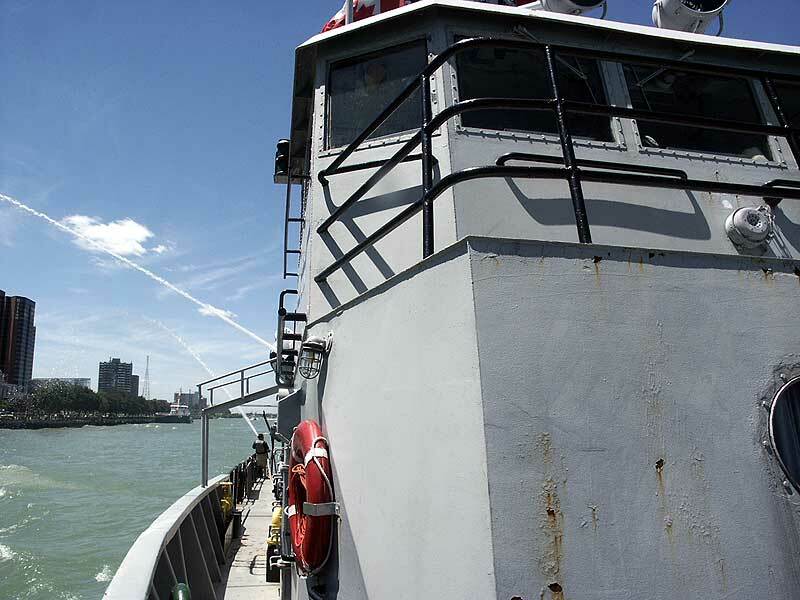 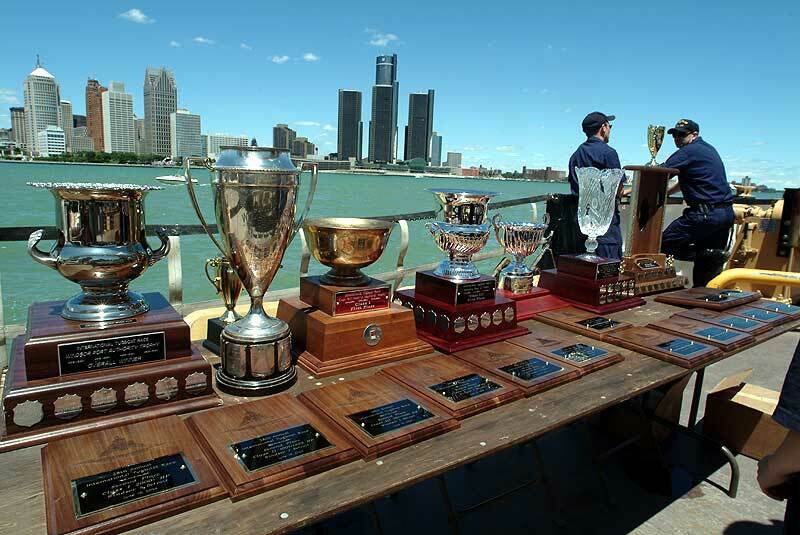 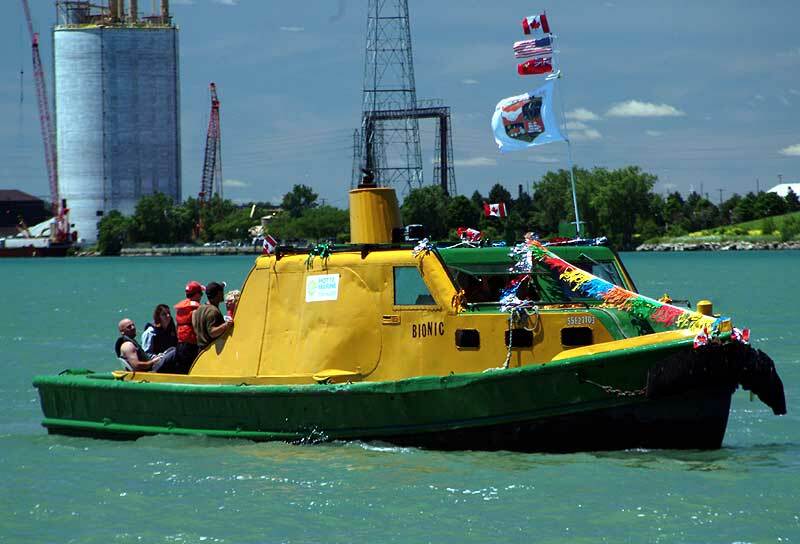 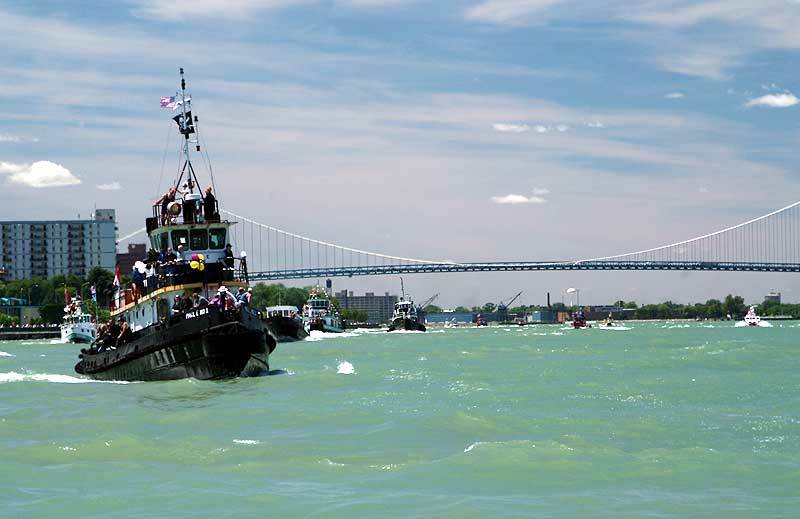 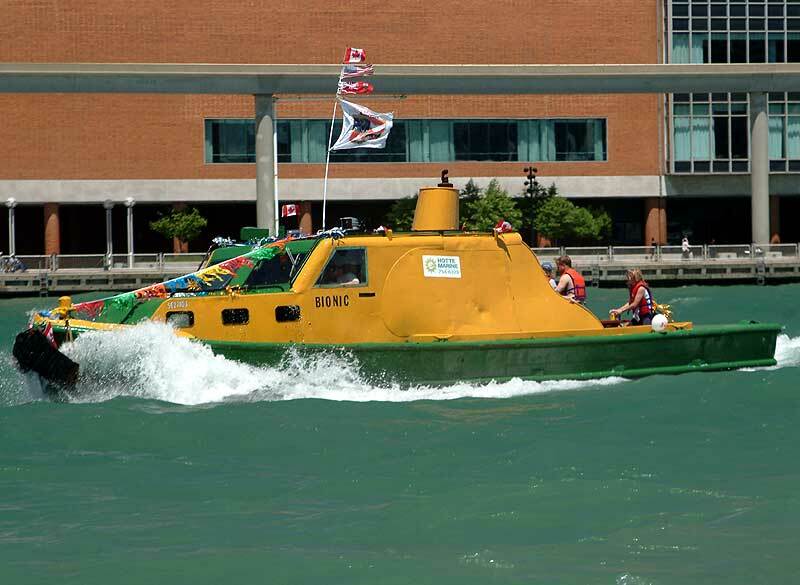 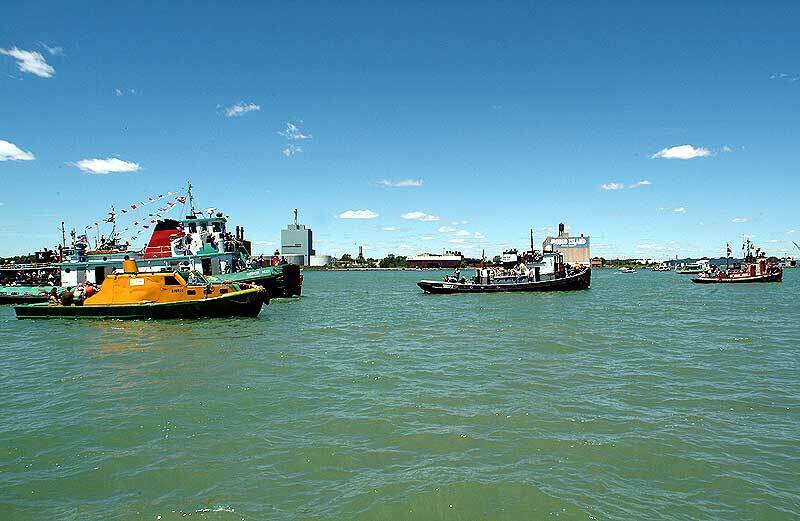 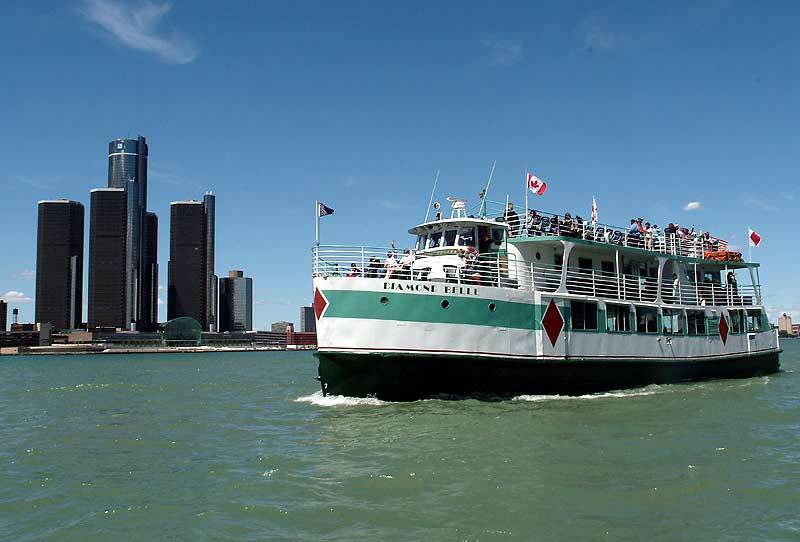 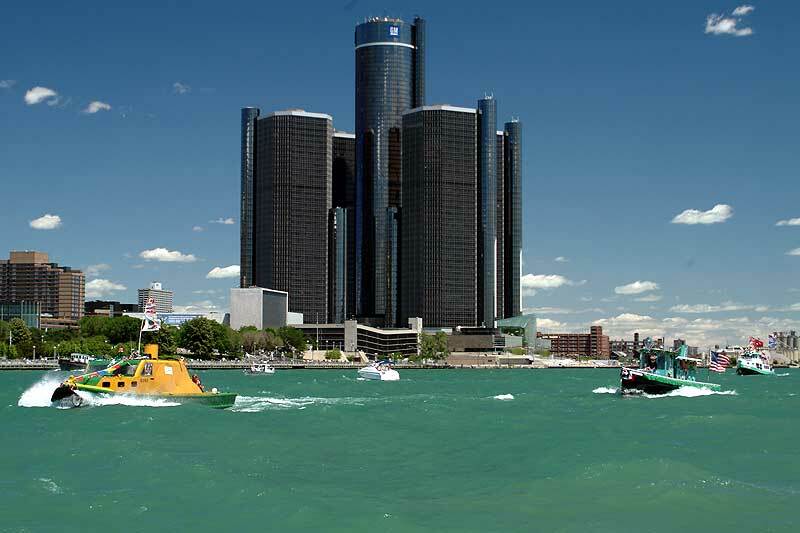 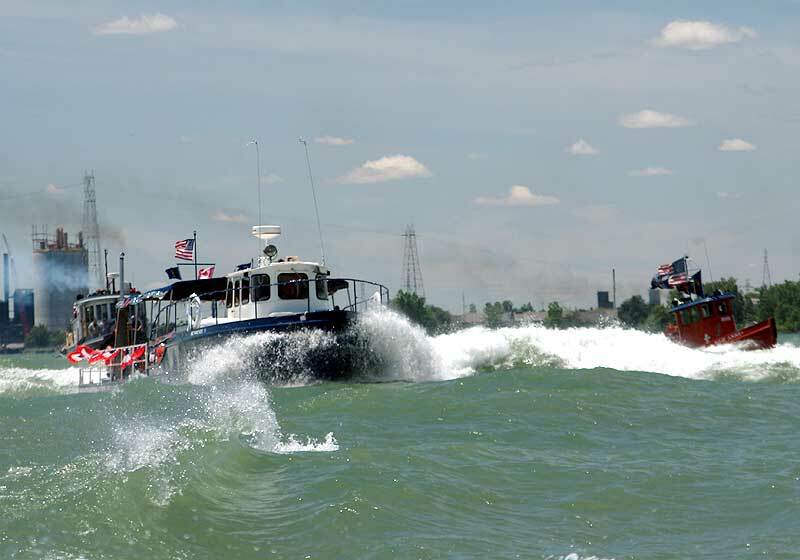 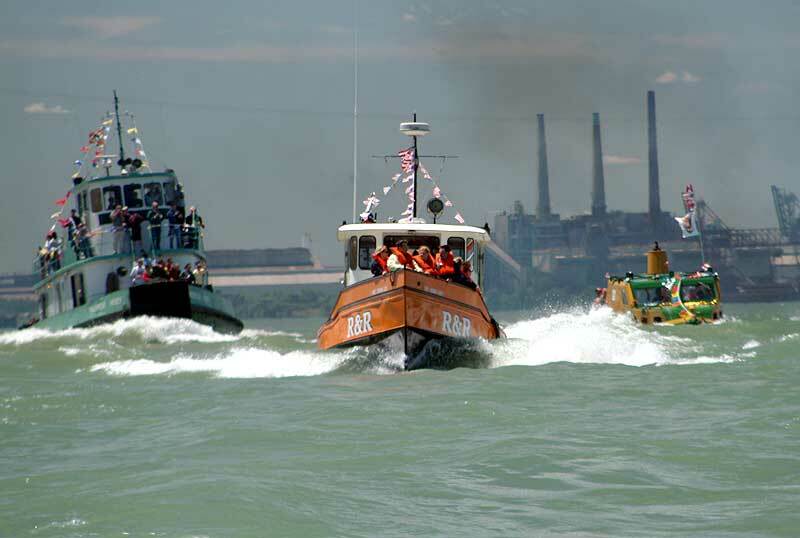 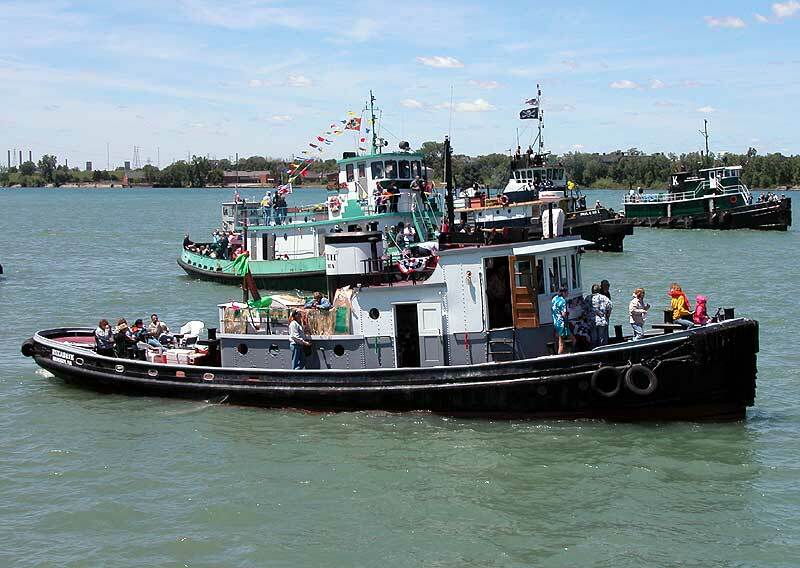 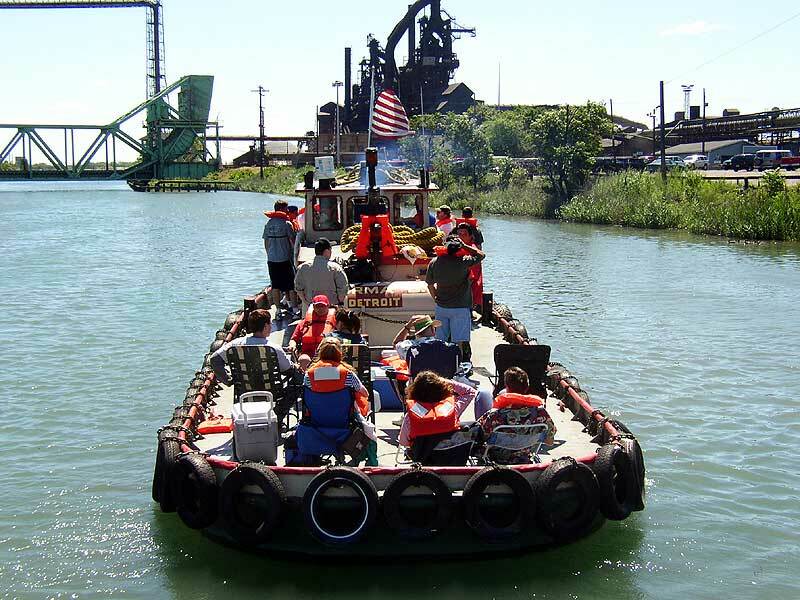 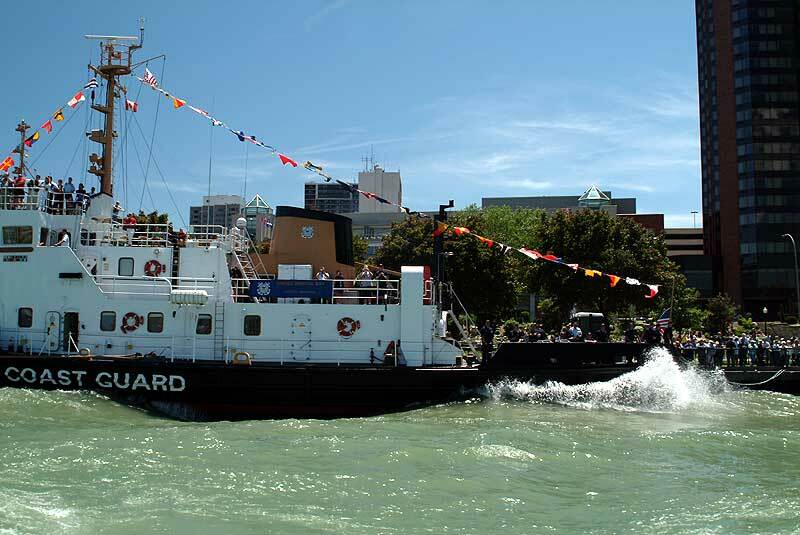 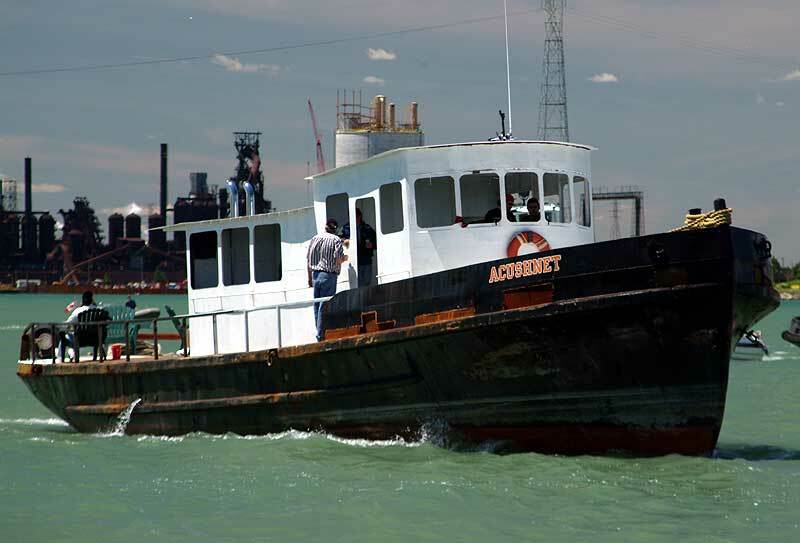 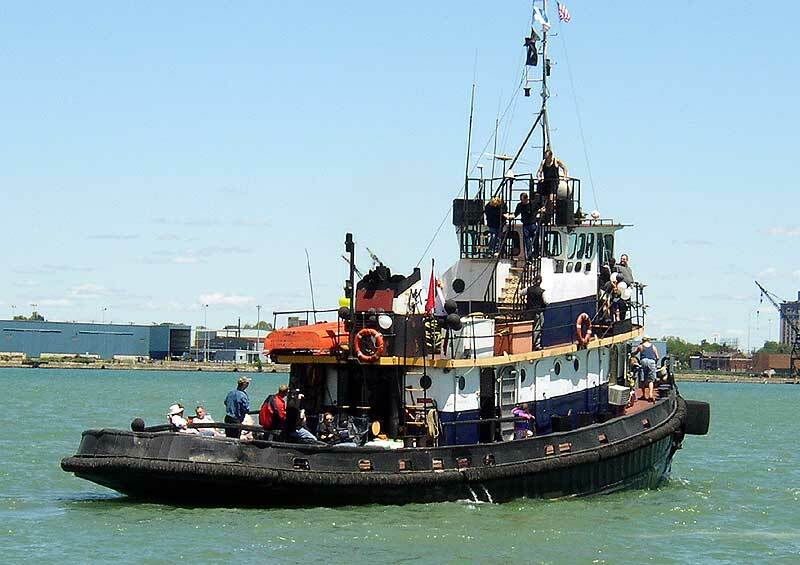 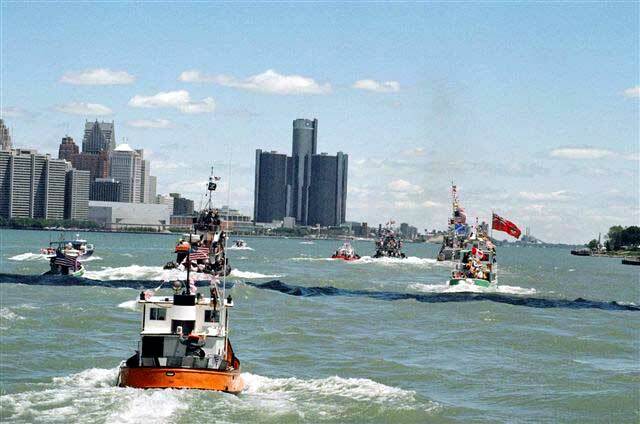 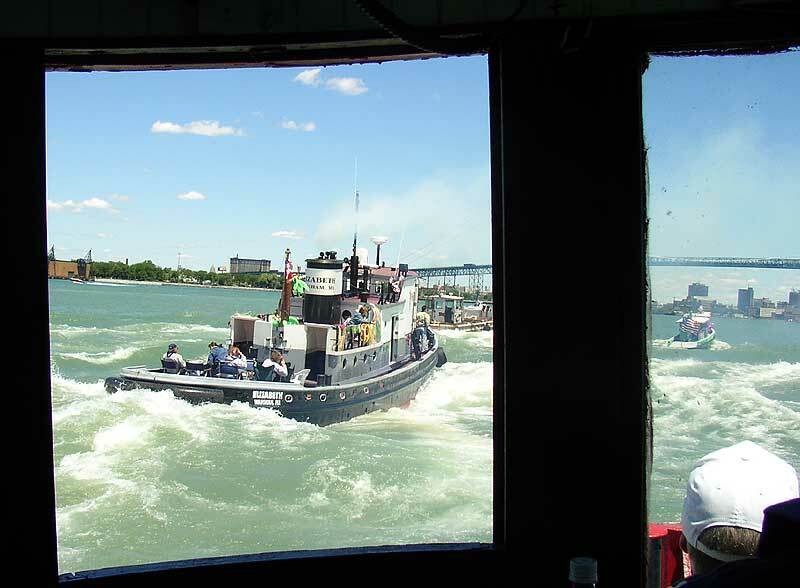 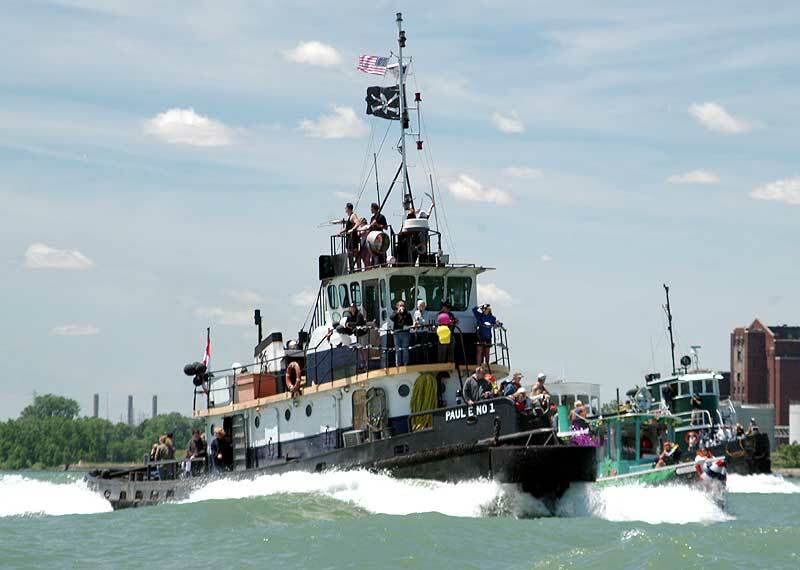 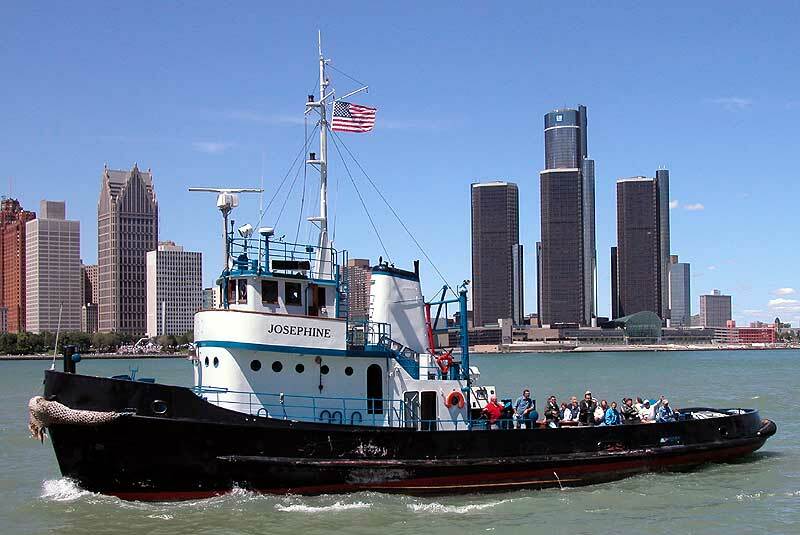 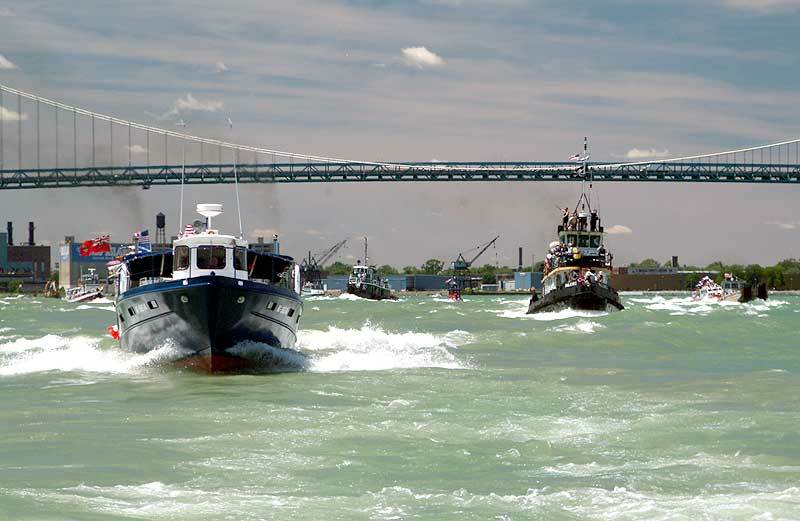 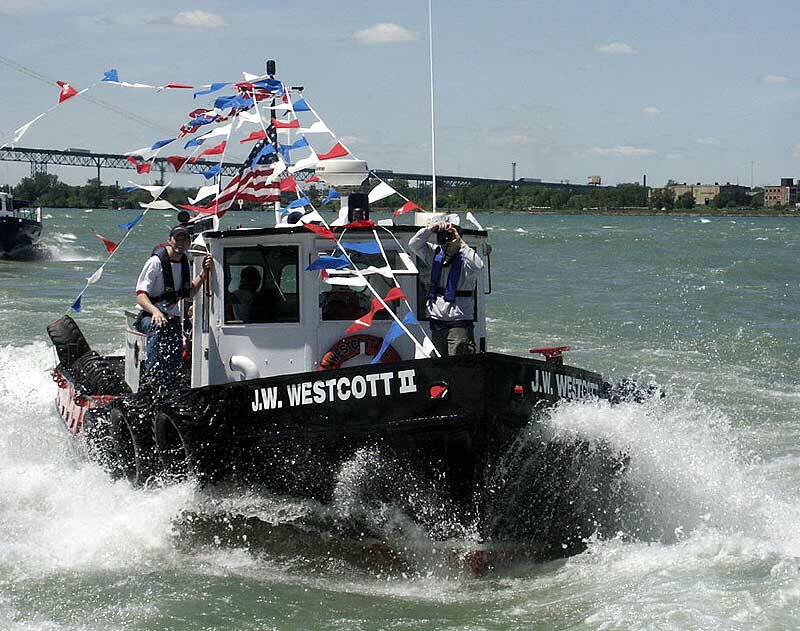 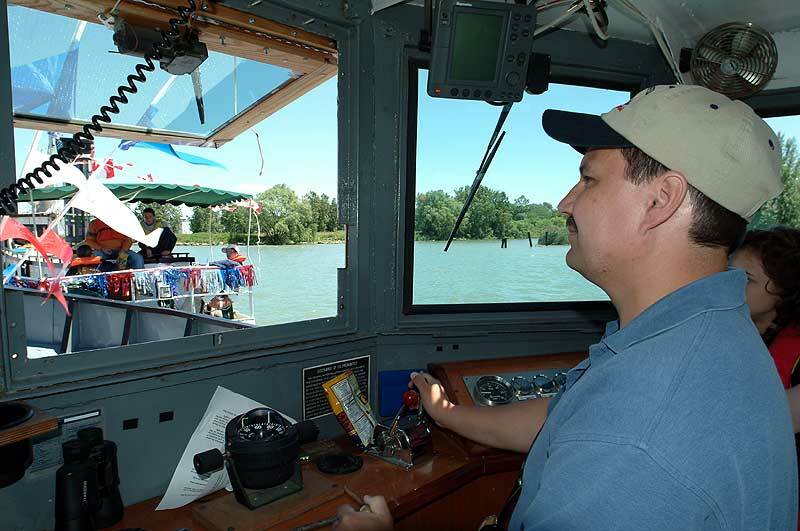 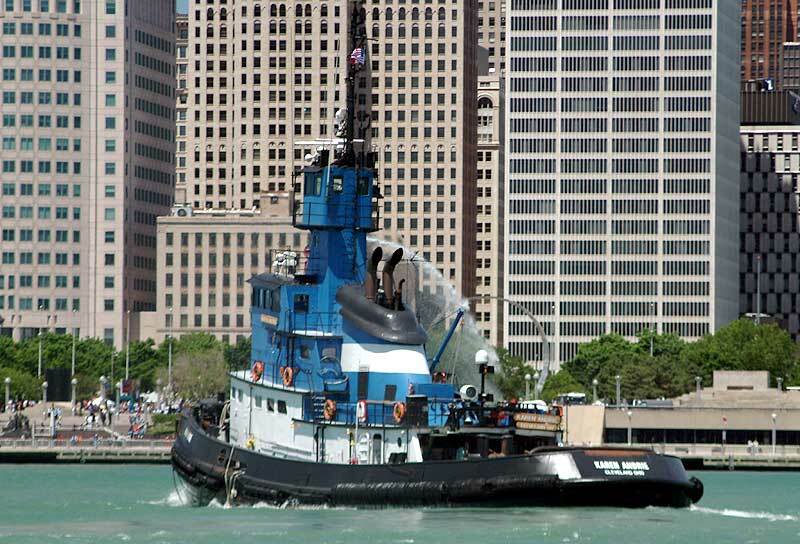 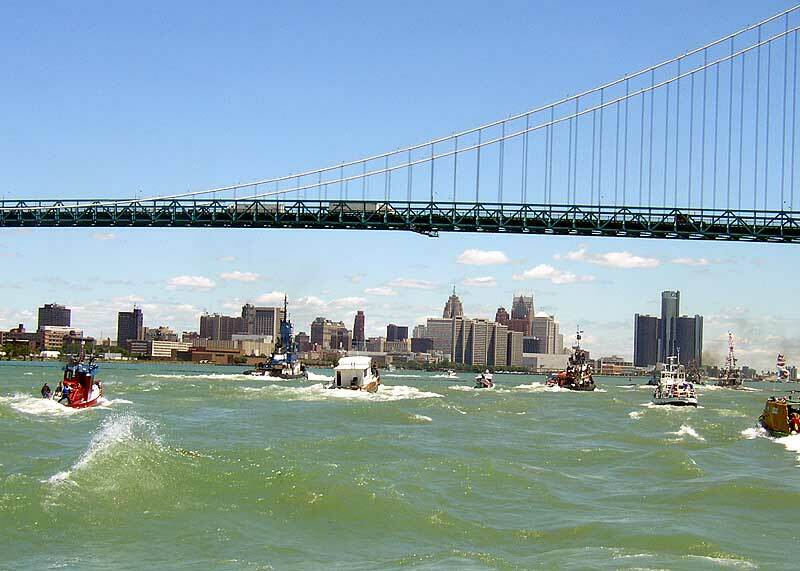 With the roar of diesel engines and lots of black smoke, the 28th Annual Detroit-Windsor Tugboat race began on Saturday afternoon. 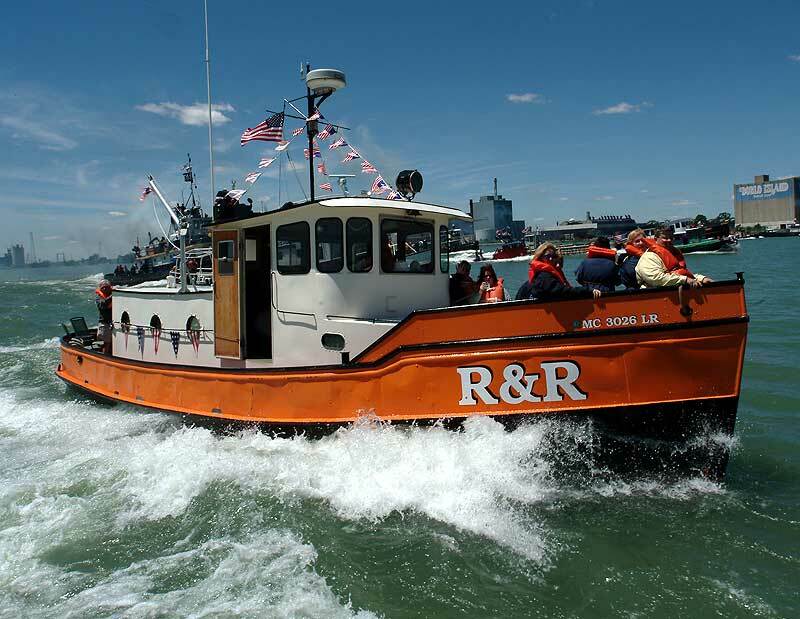 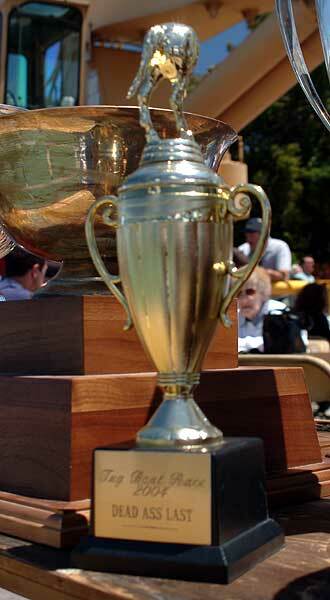 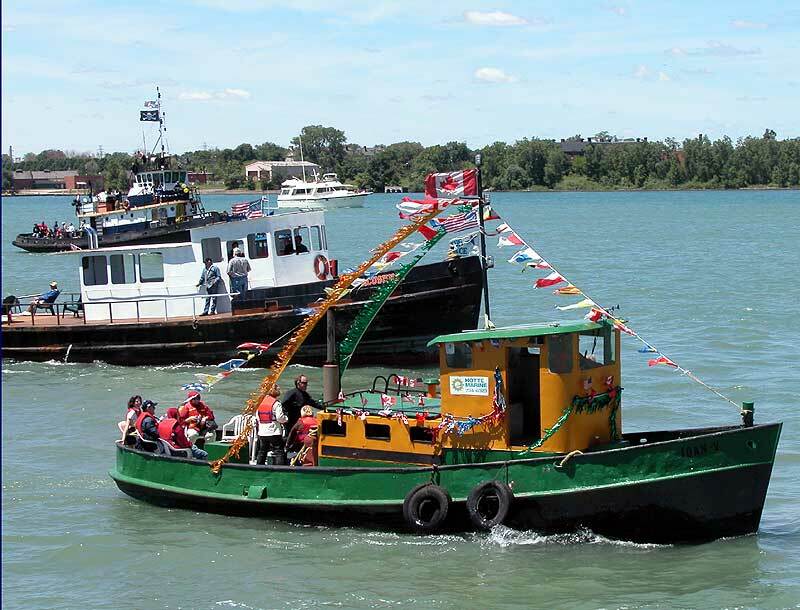 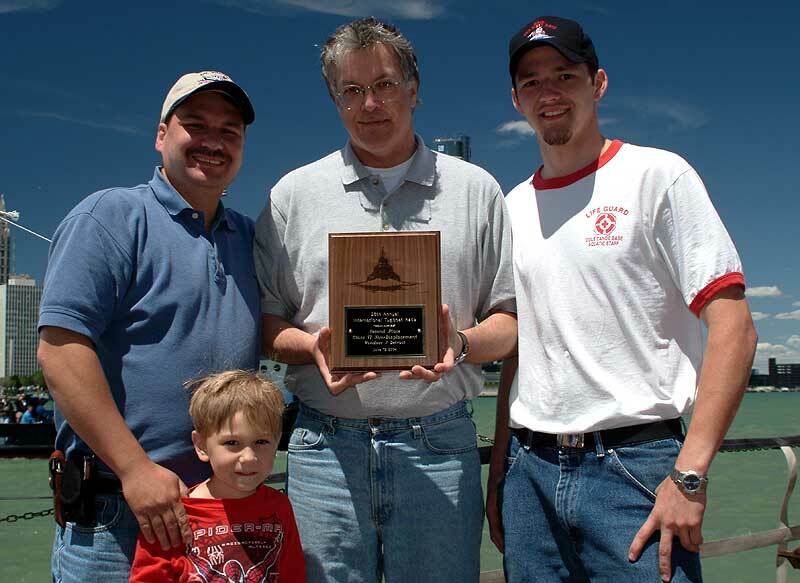 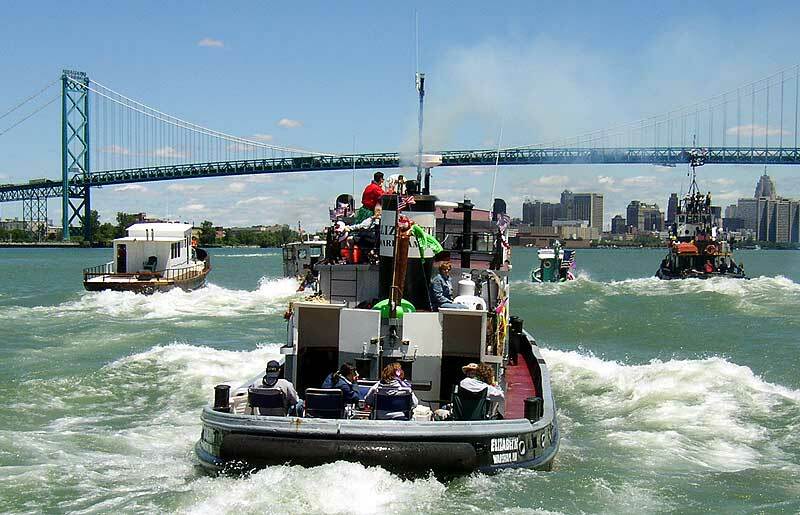 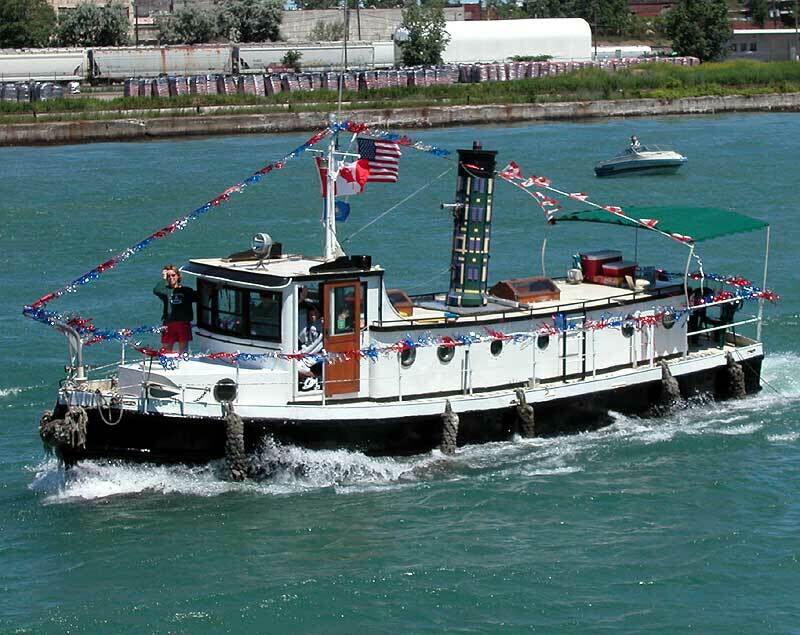 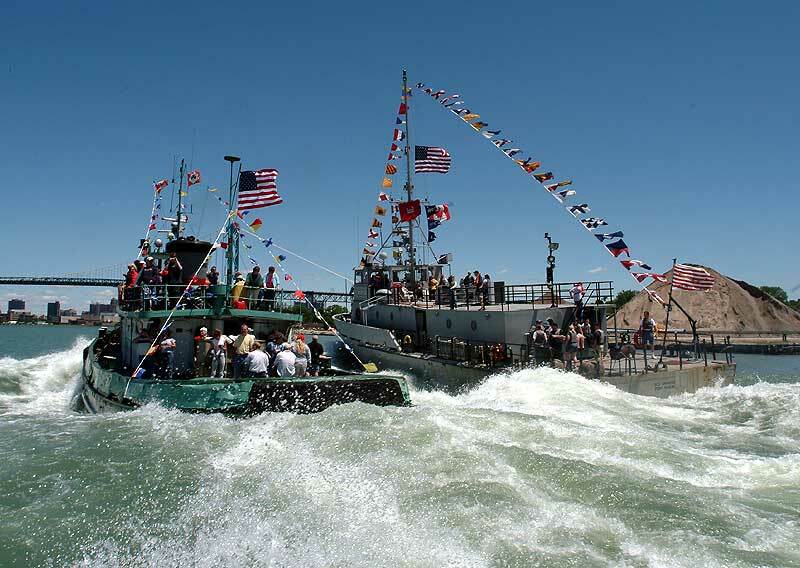 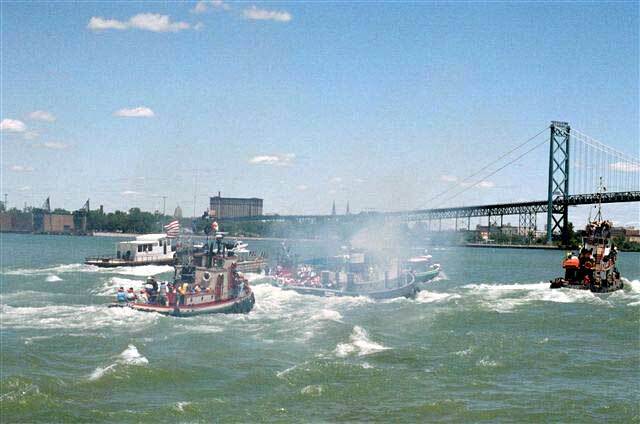 Tugboat races started back in the 1950's and for many years they were discontinued. 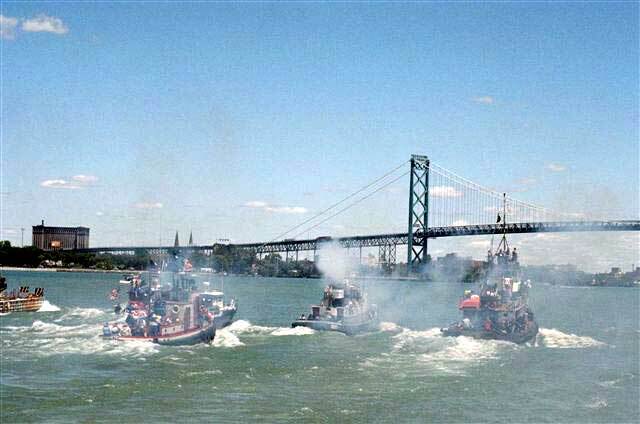 In 1976 the International Freedom Festival started the tradition once again. 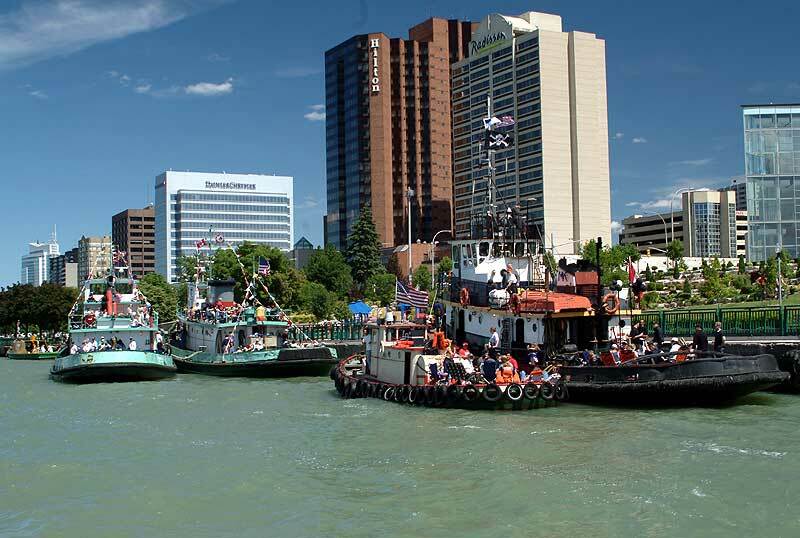 In 2003 the International Freedom Festival declared bankruptcy and the future of the race was in limbo. 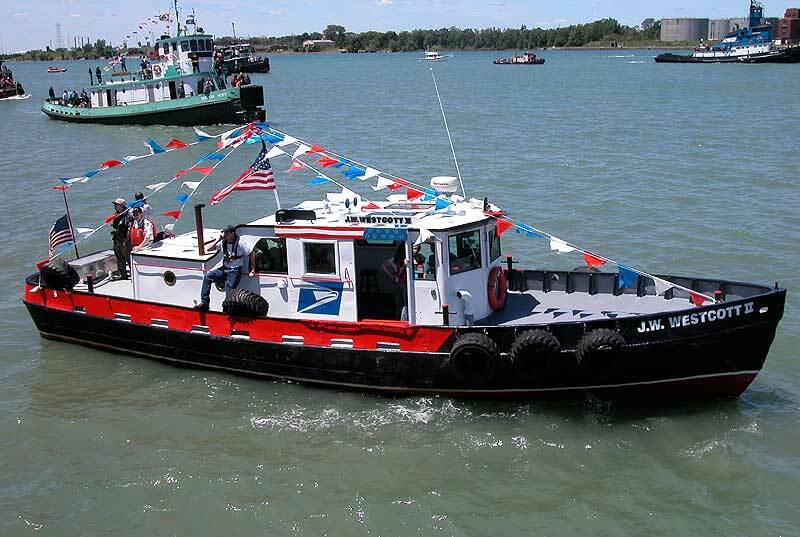 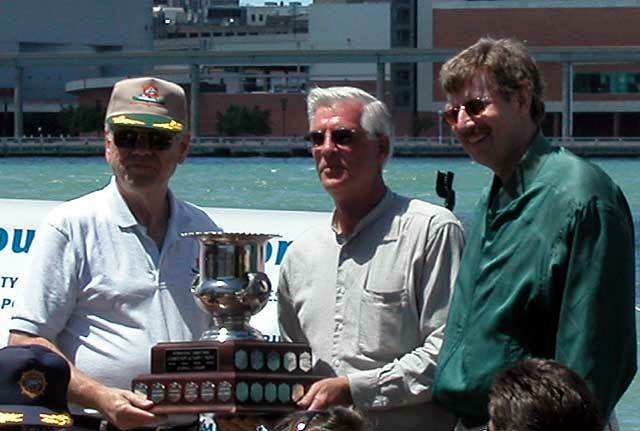 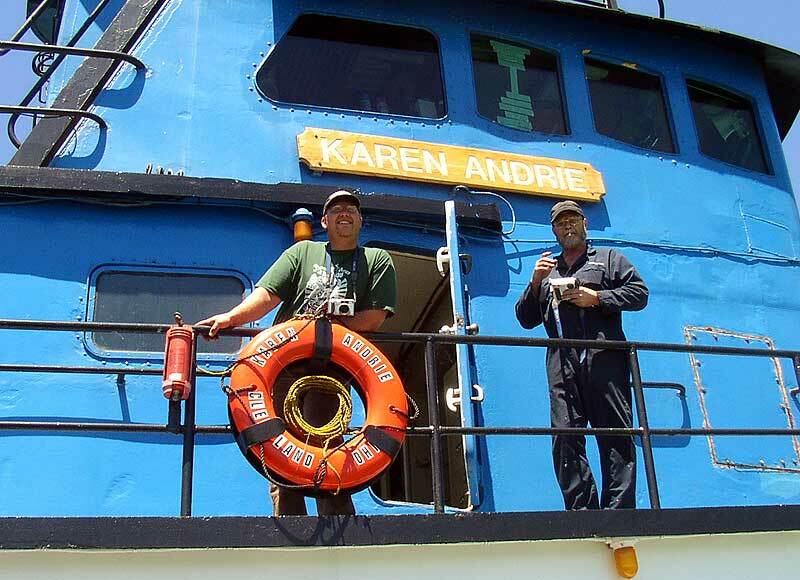 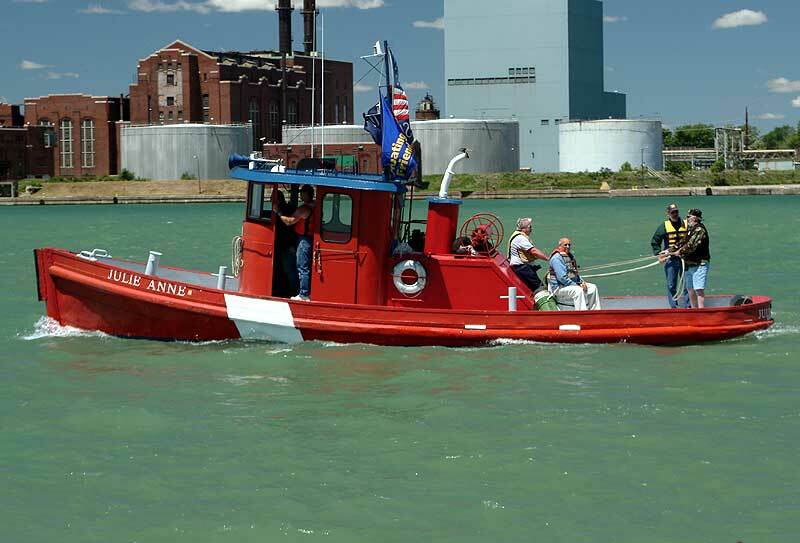 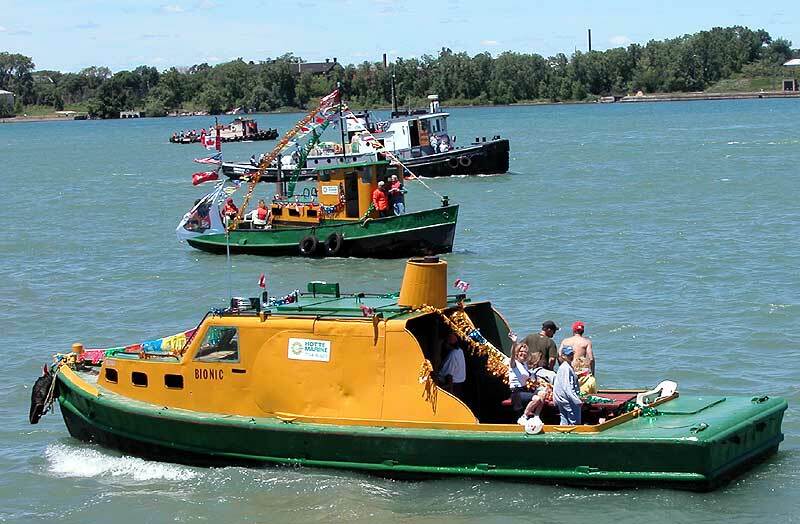 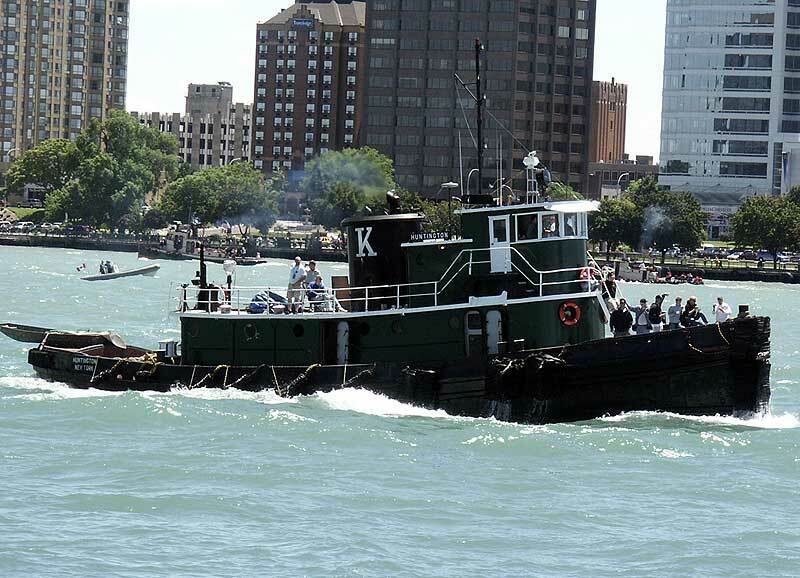 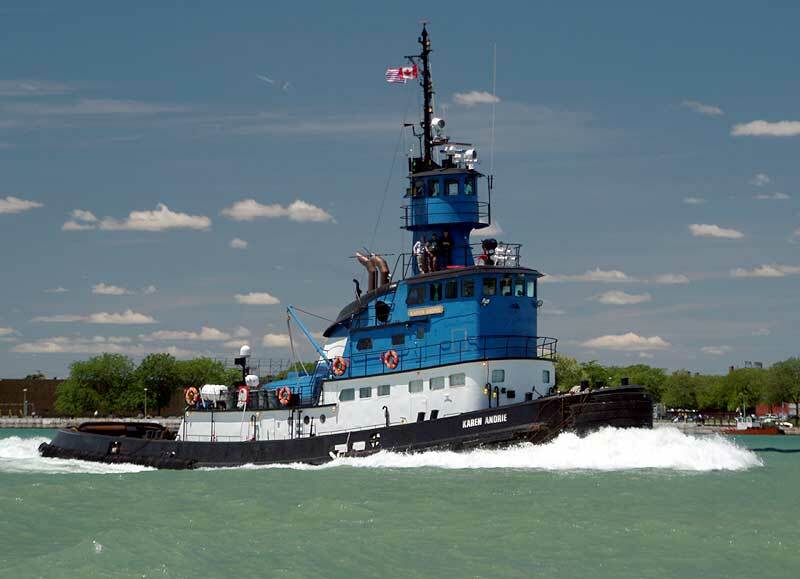 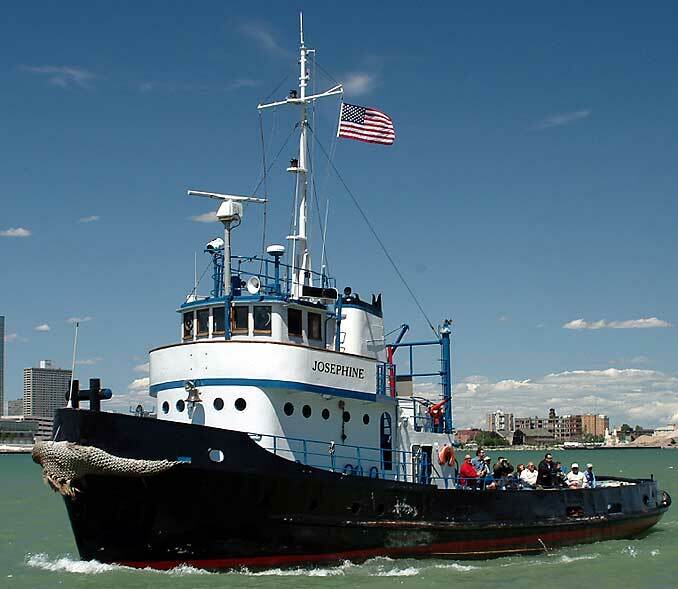 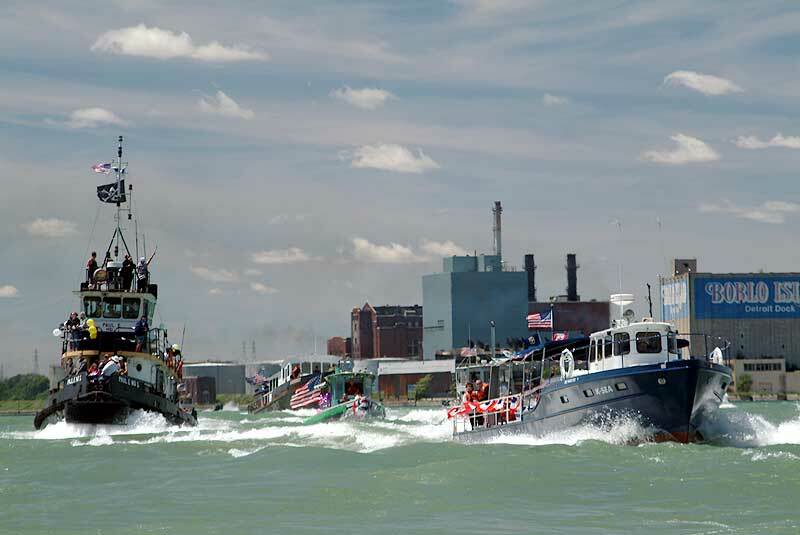 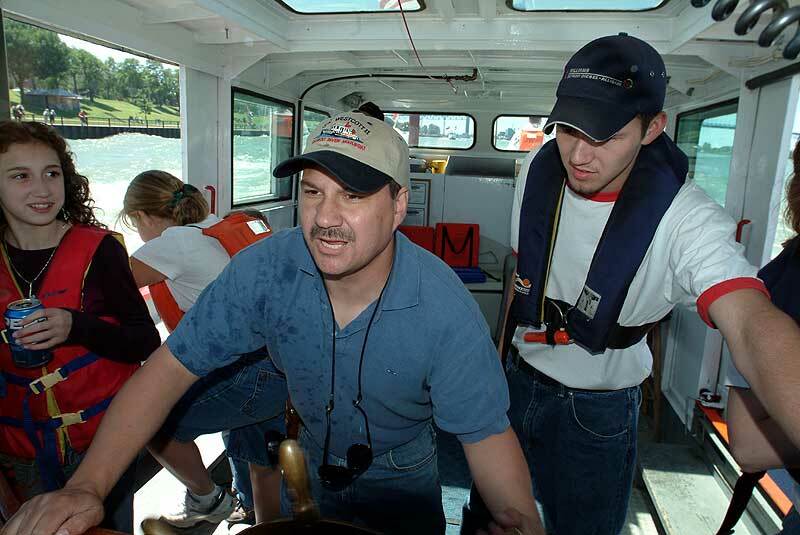 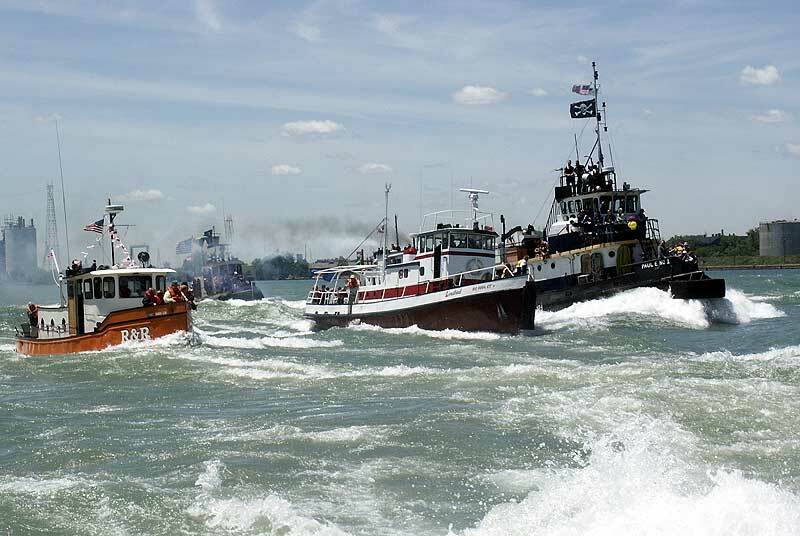 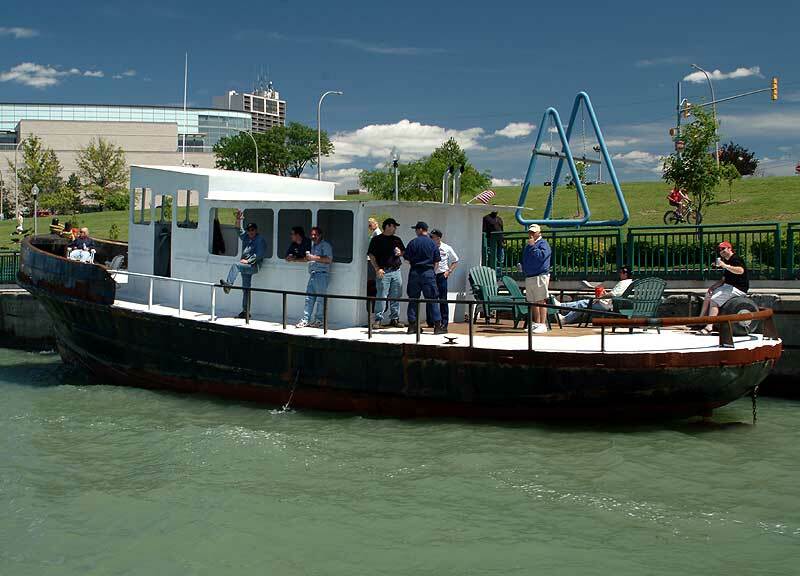 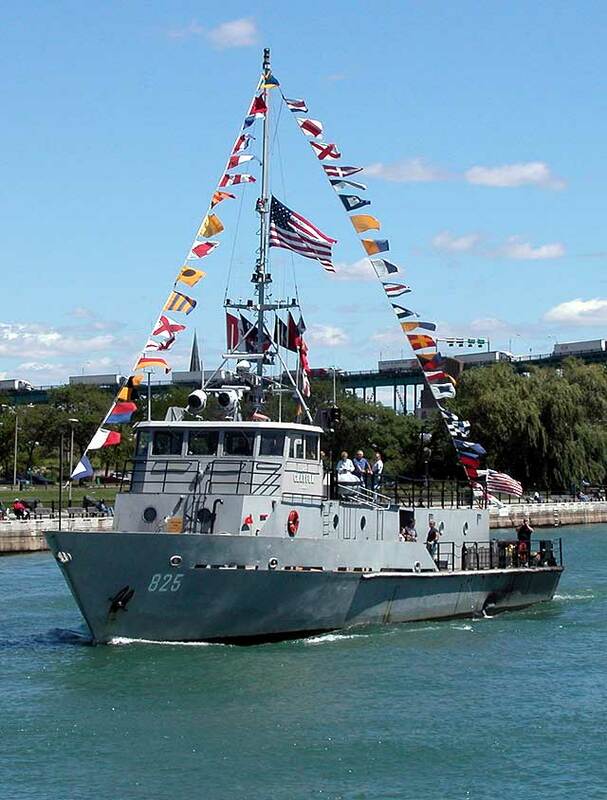 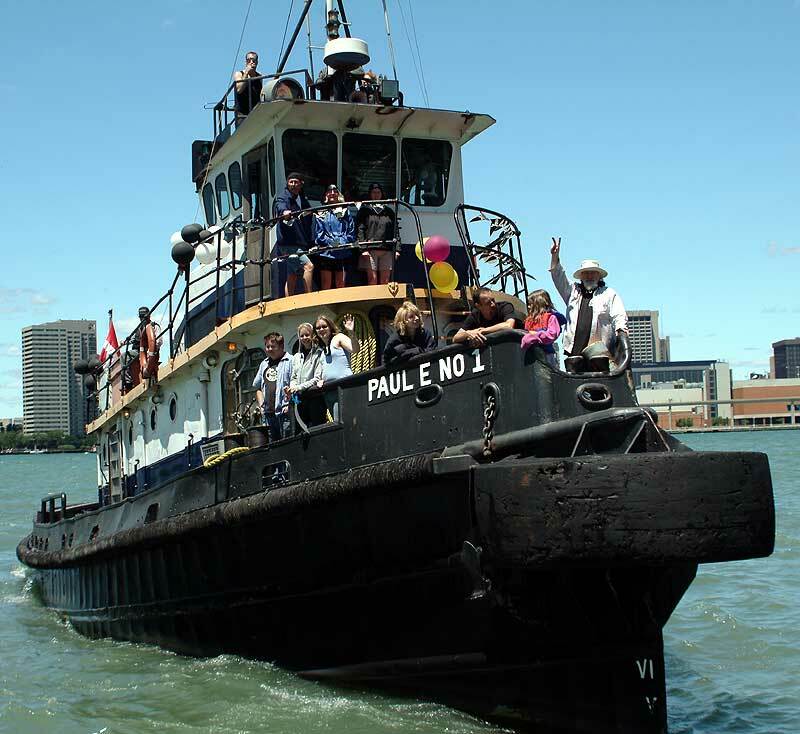 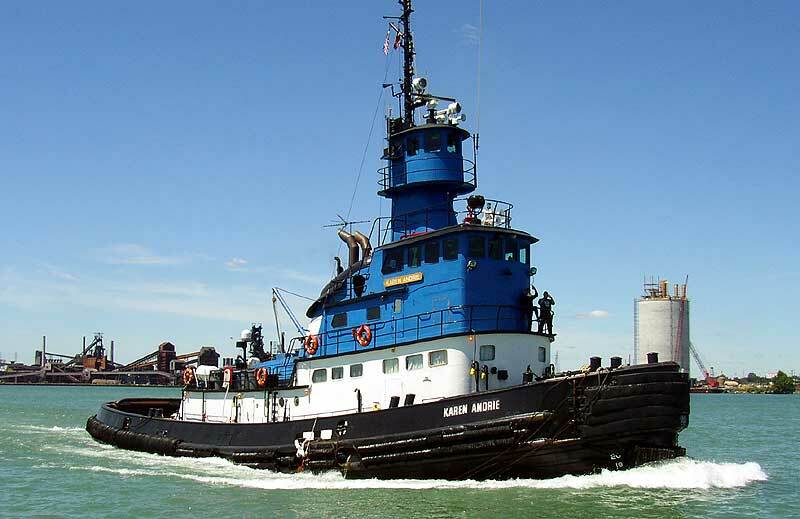 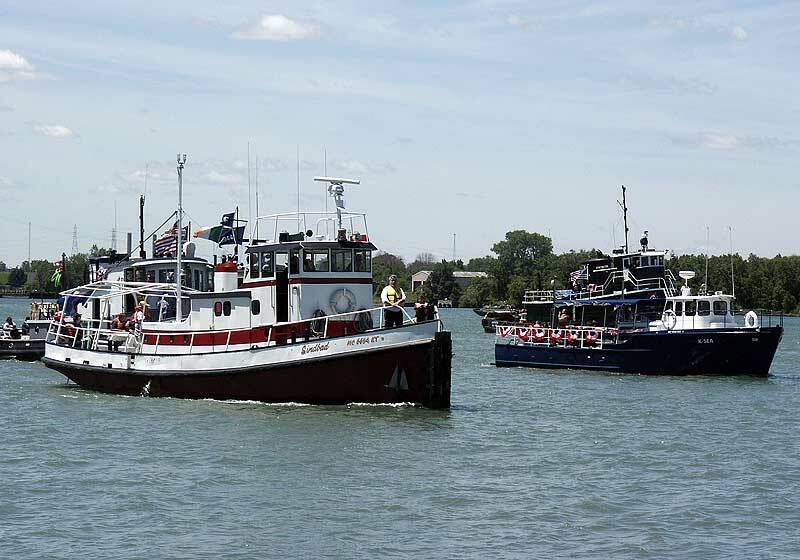 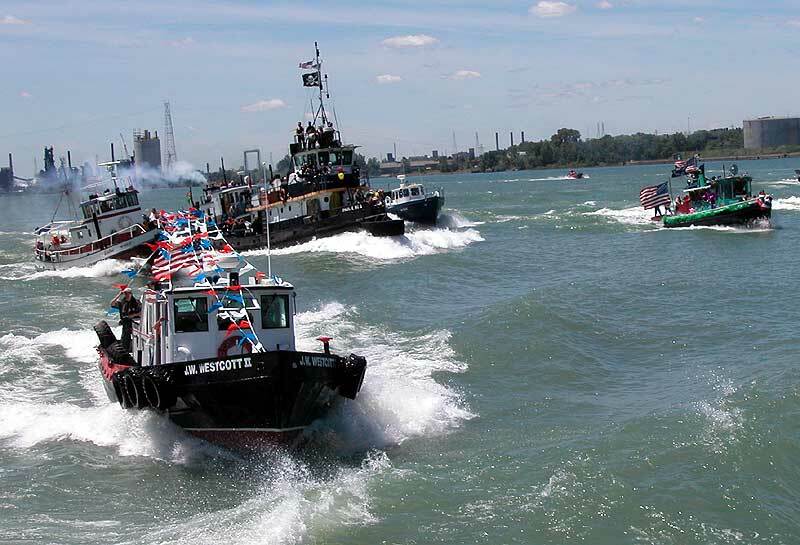 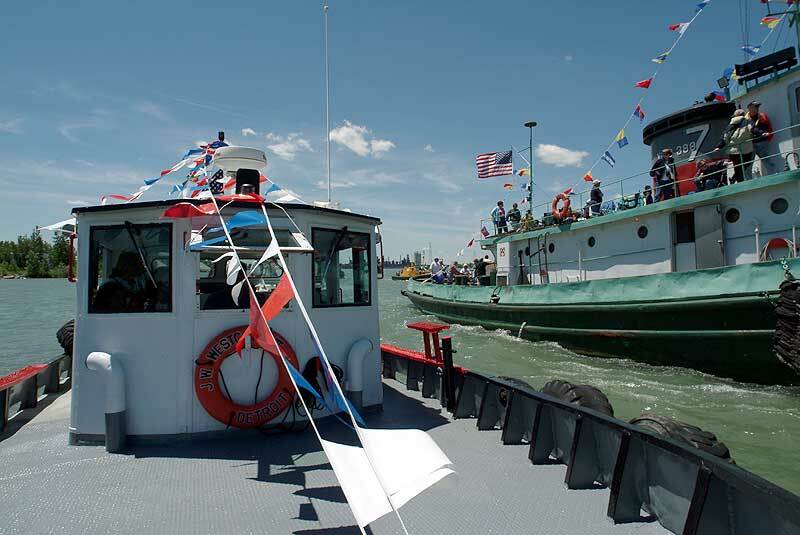 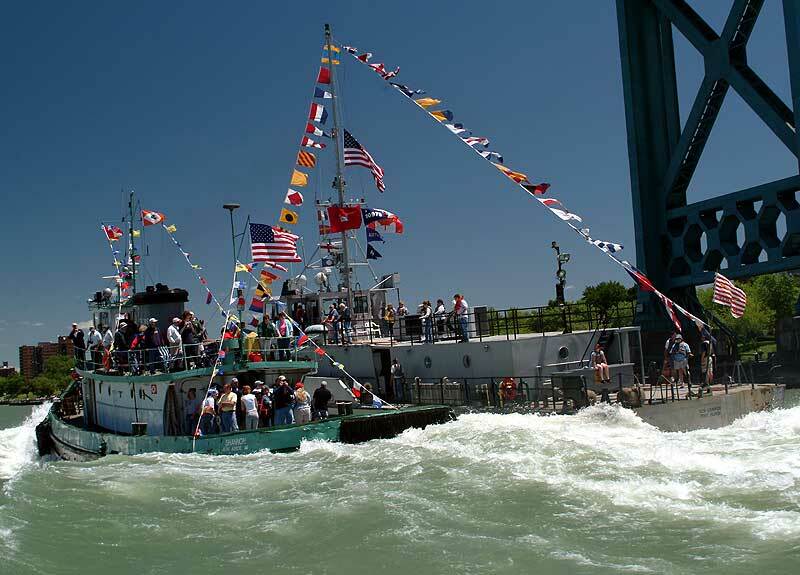 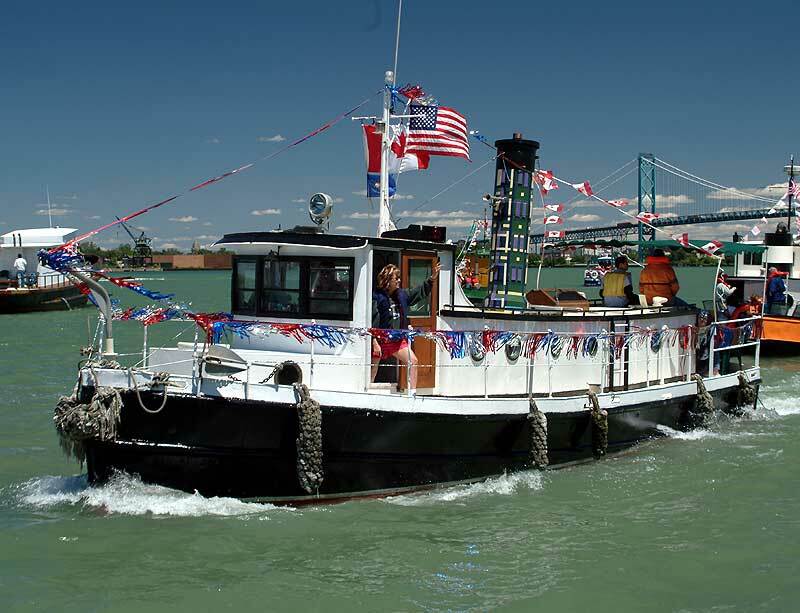 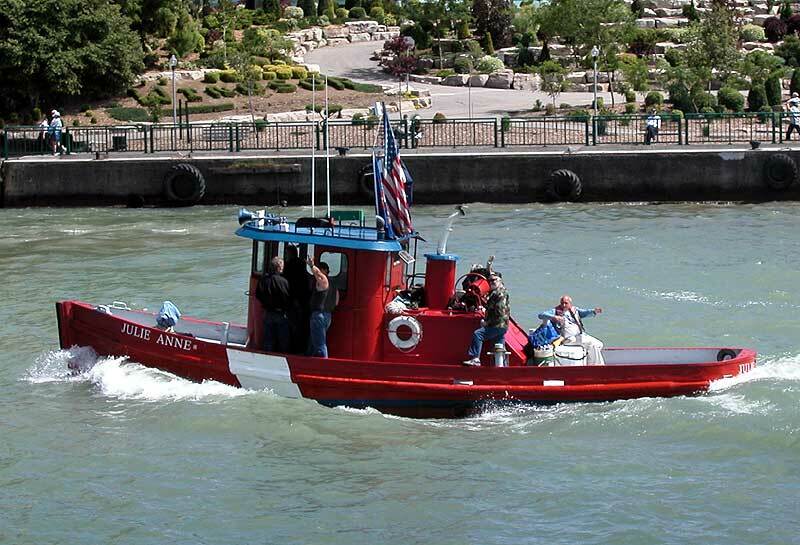 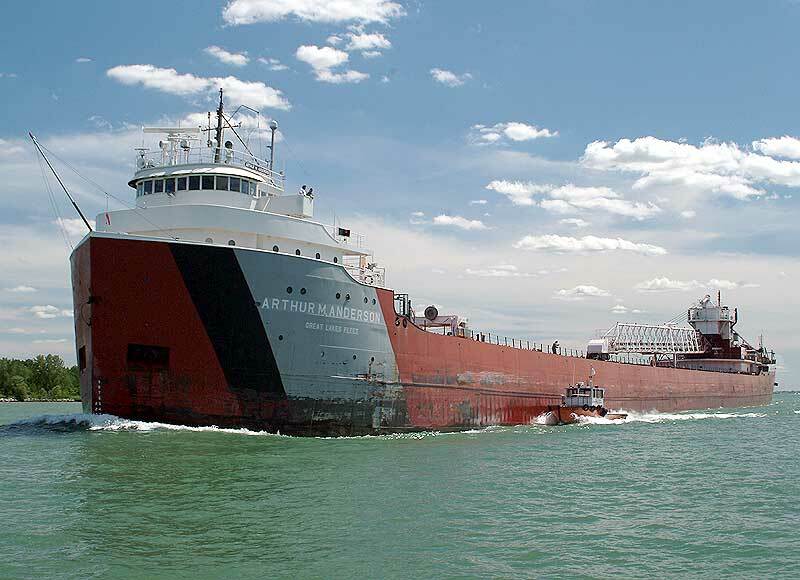 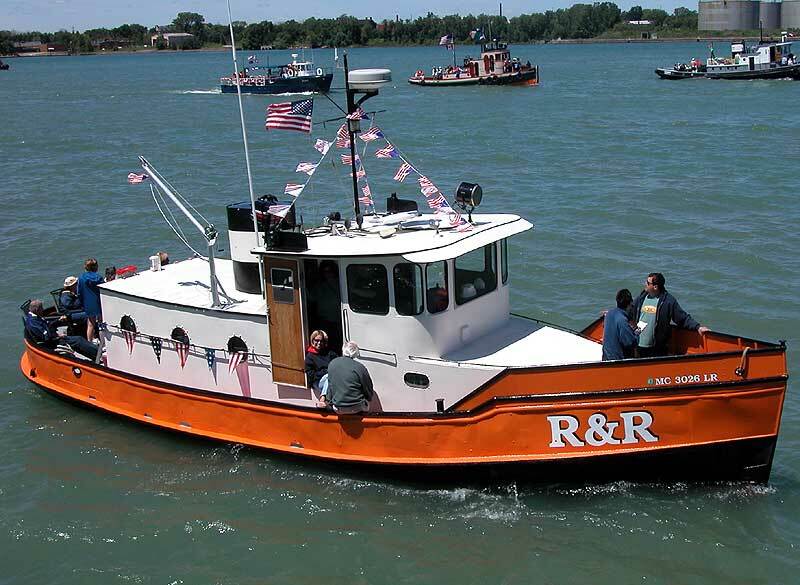 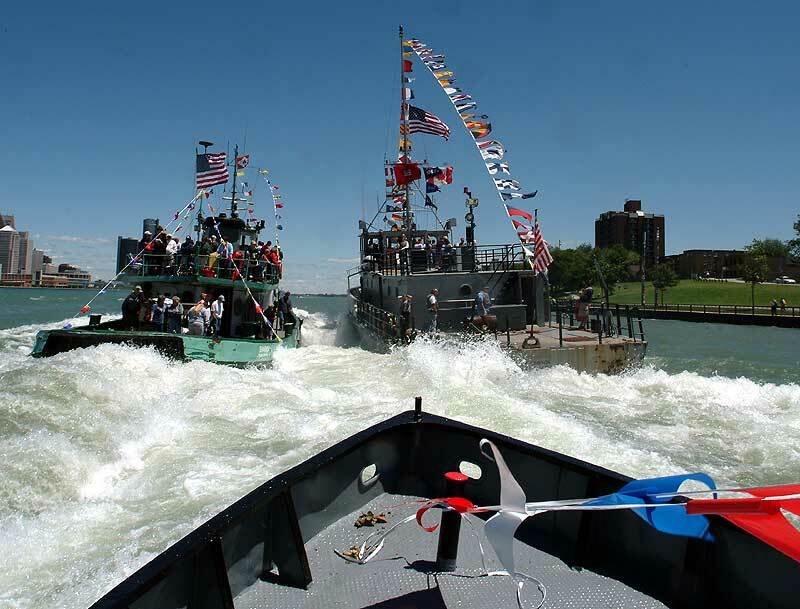 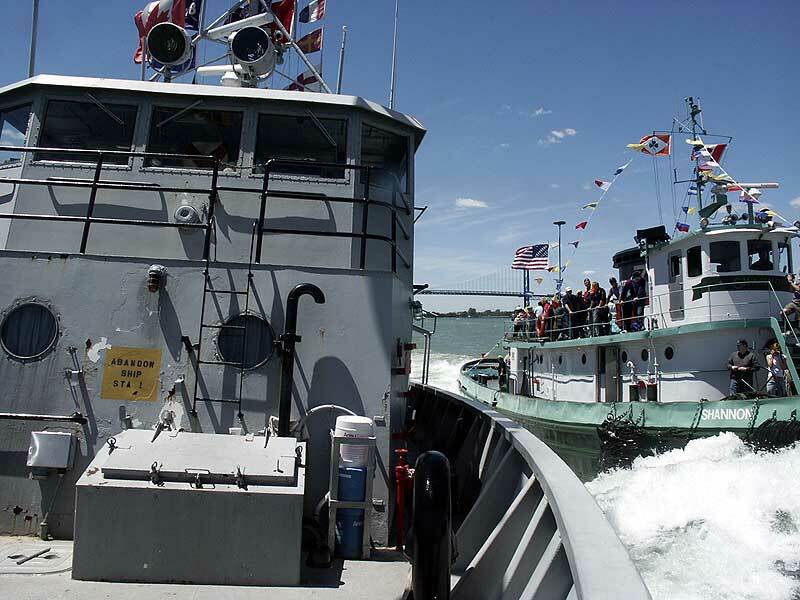 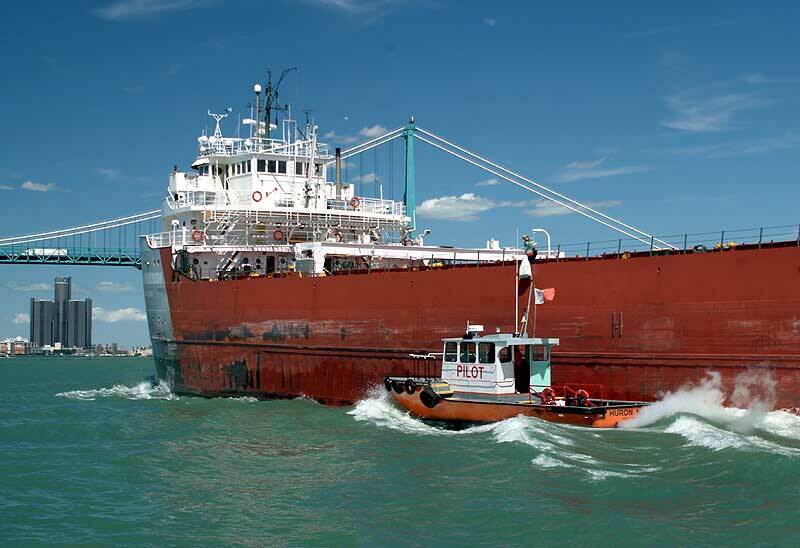 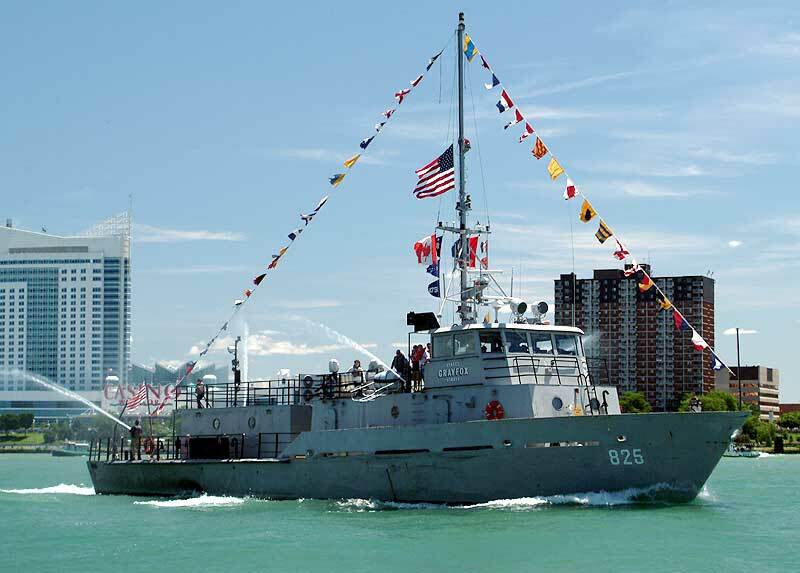 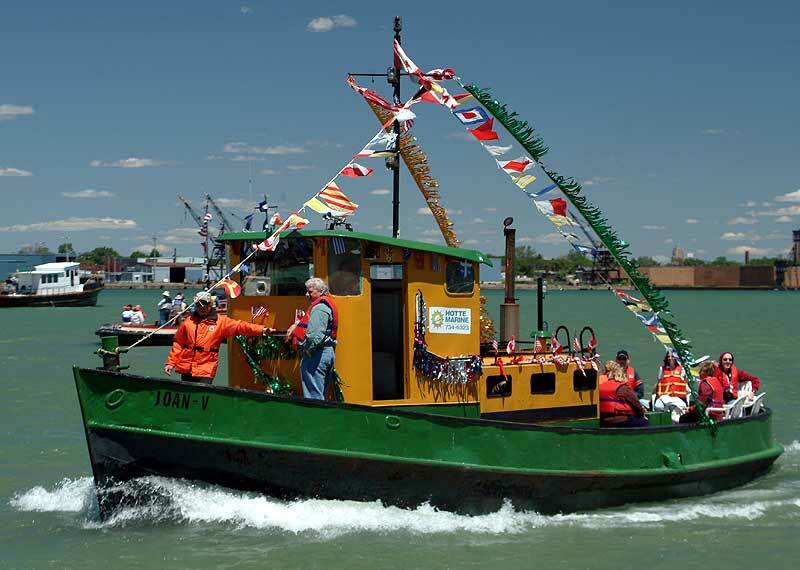 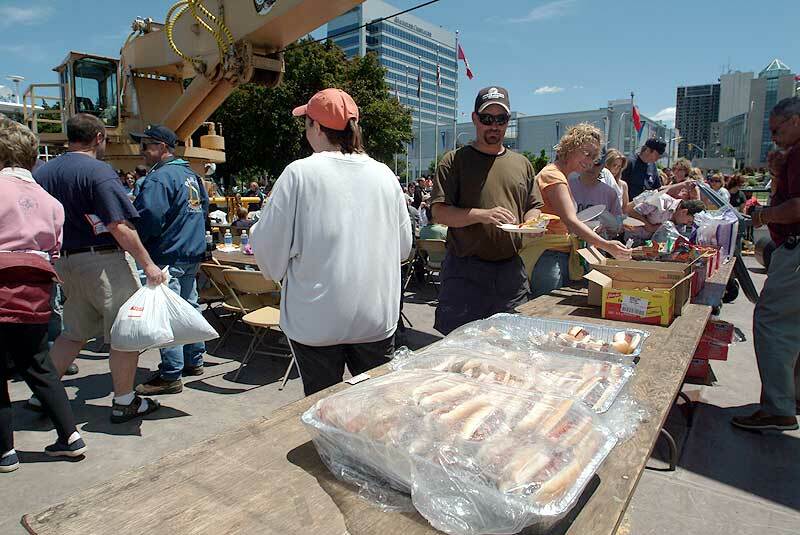 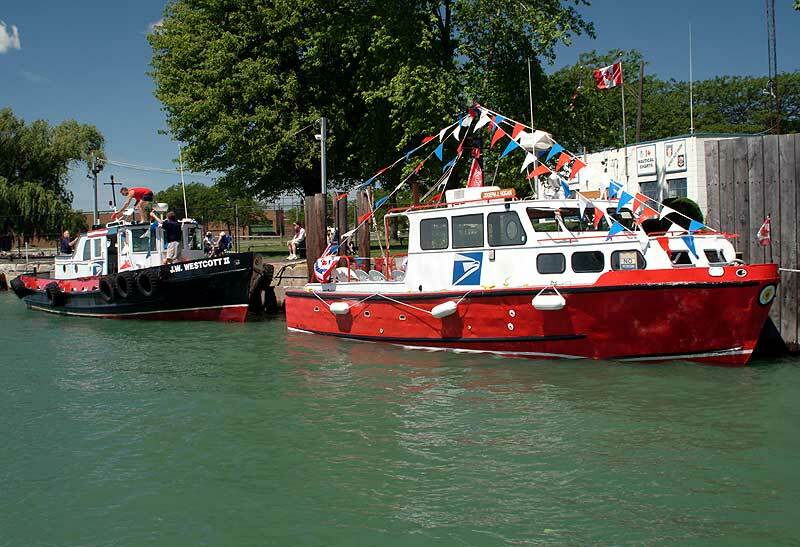 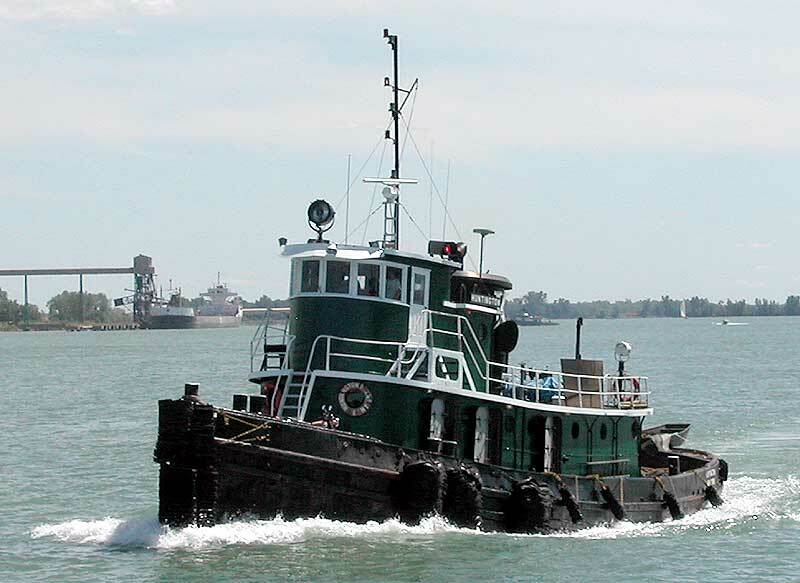 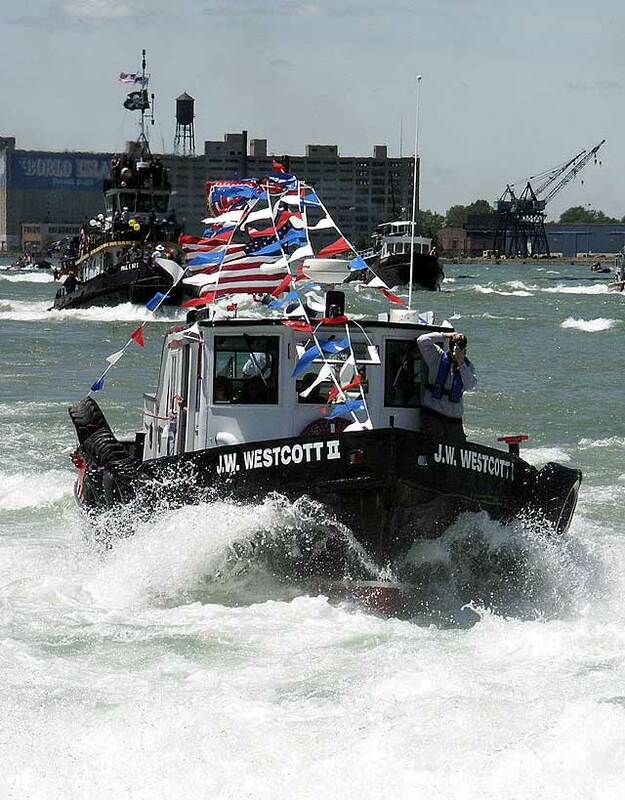 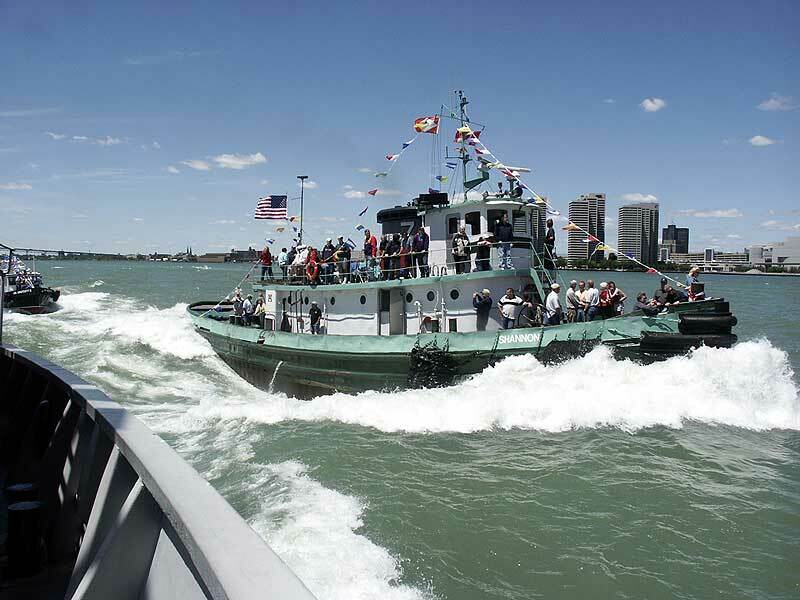 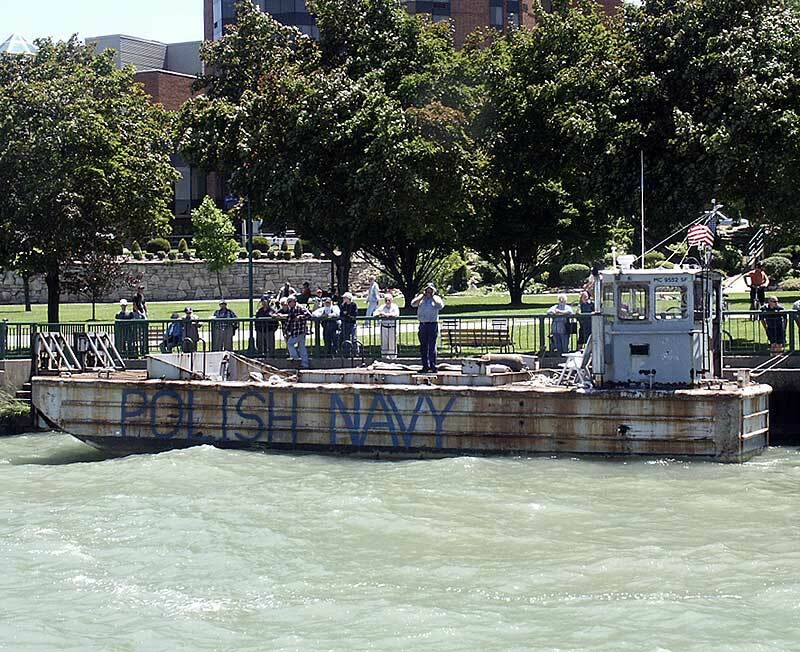 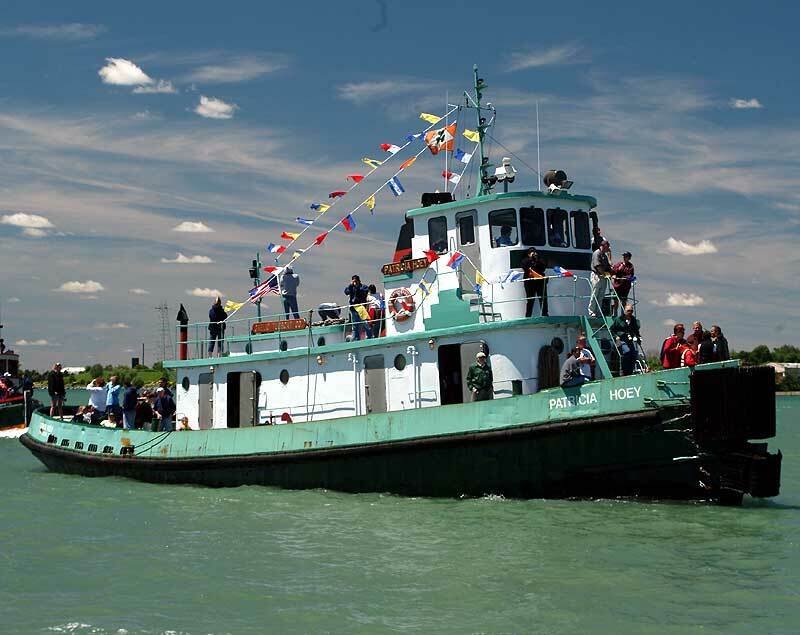 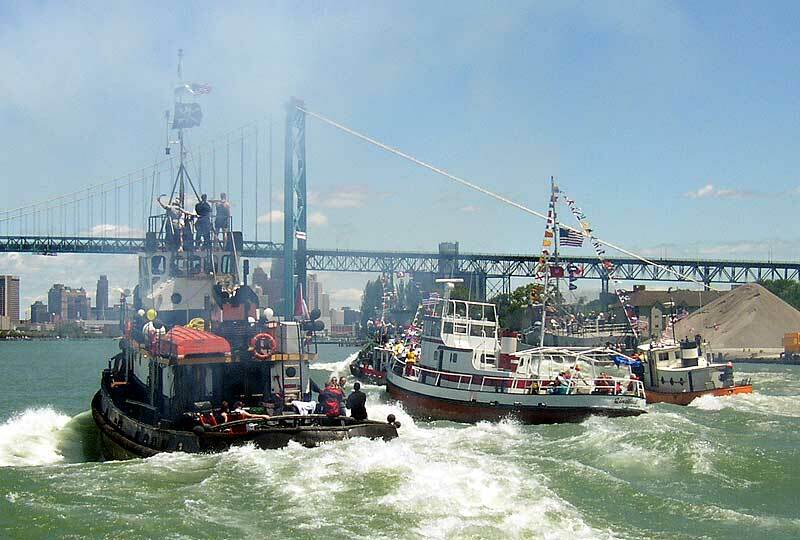 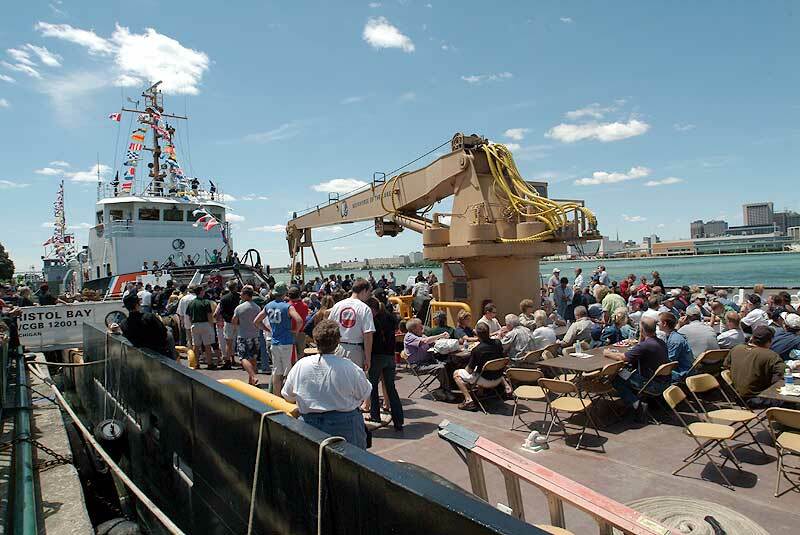 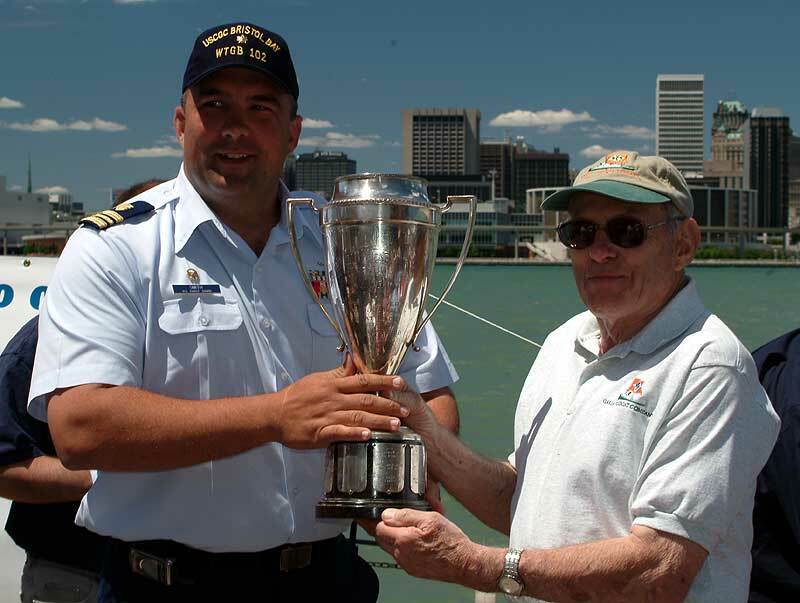 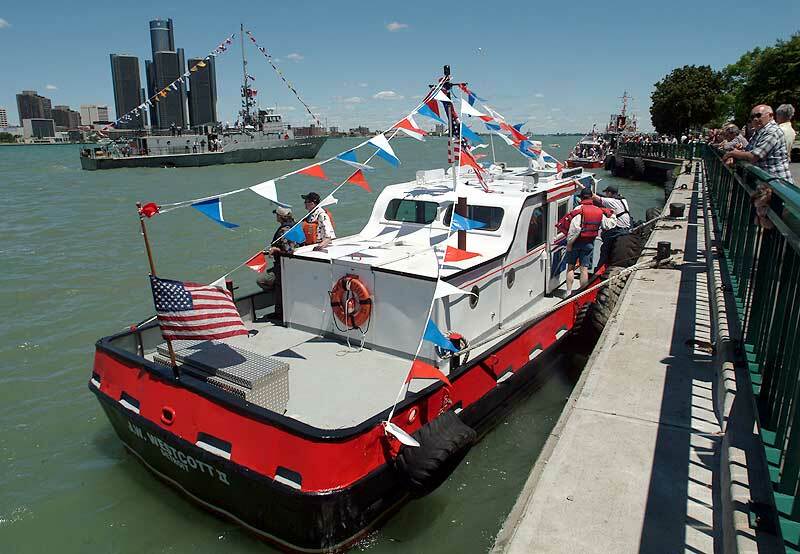 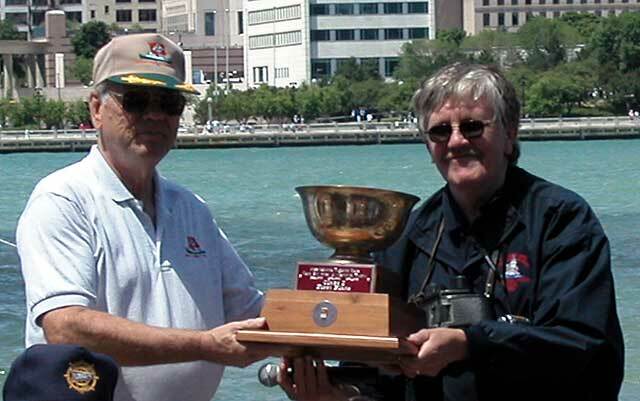 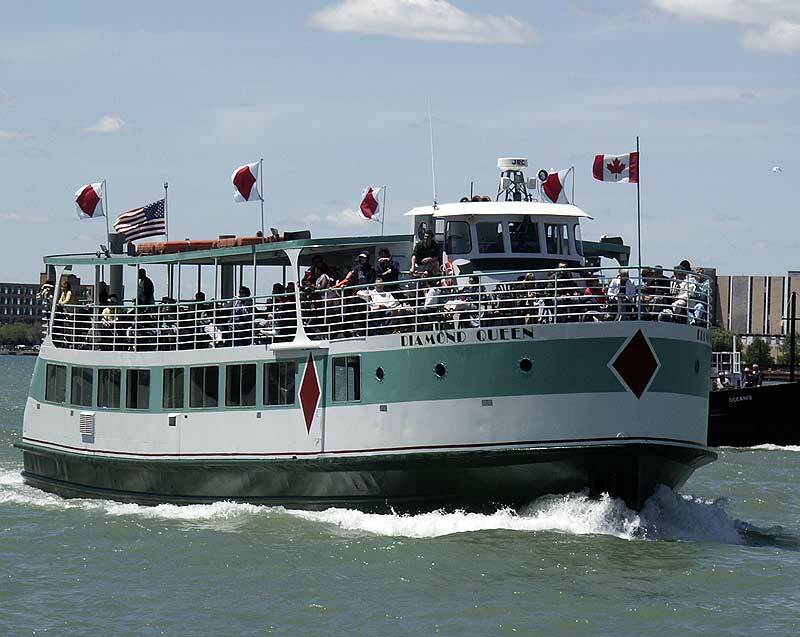 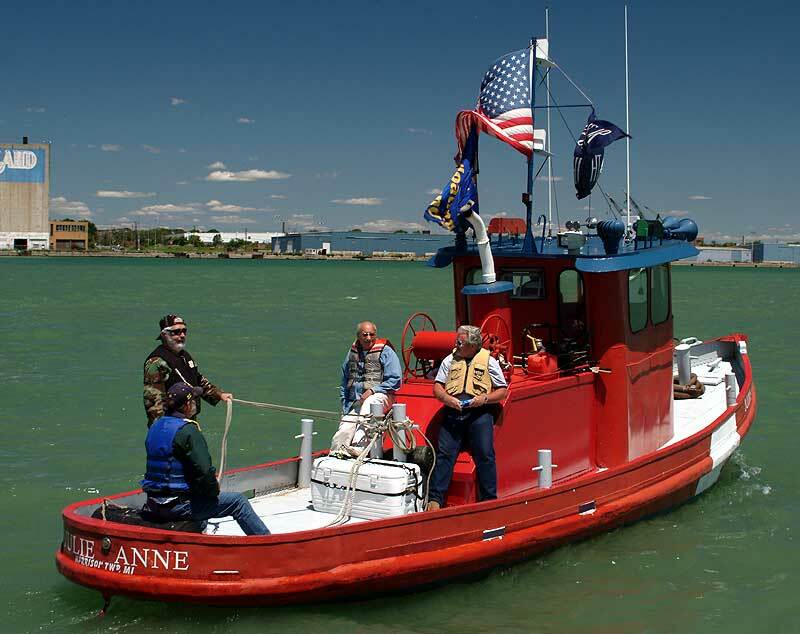 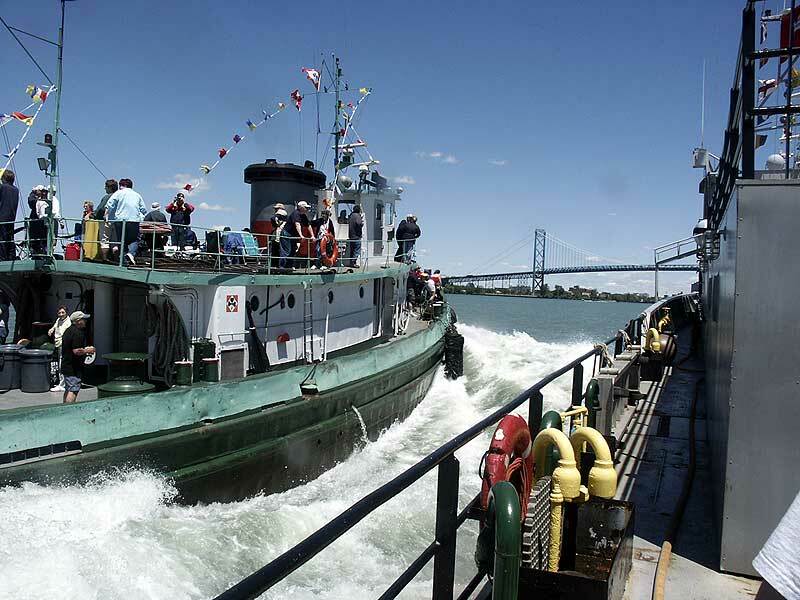 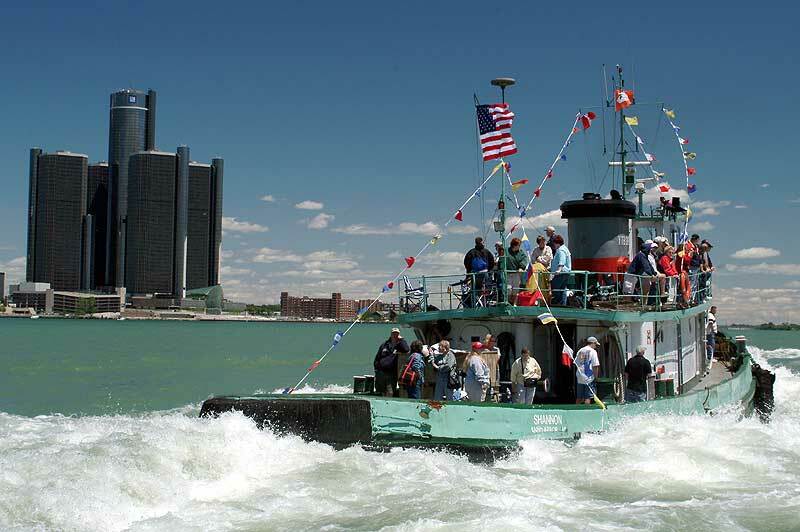 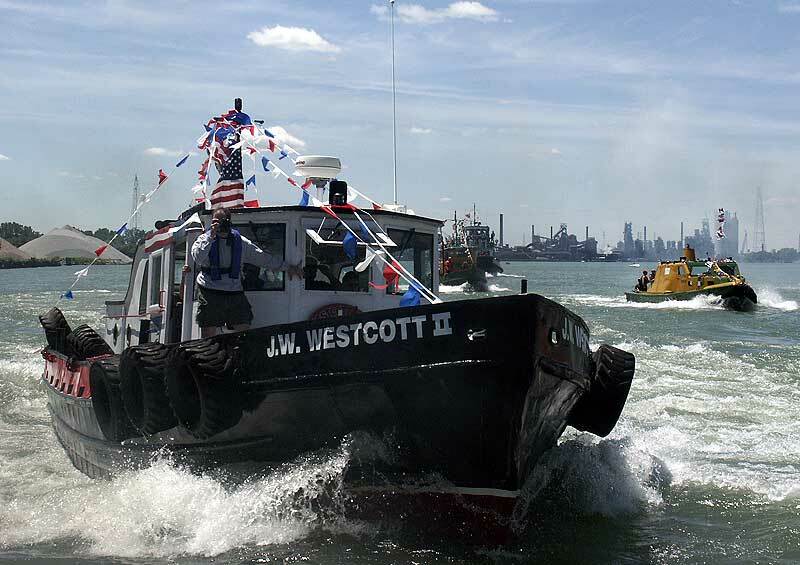 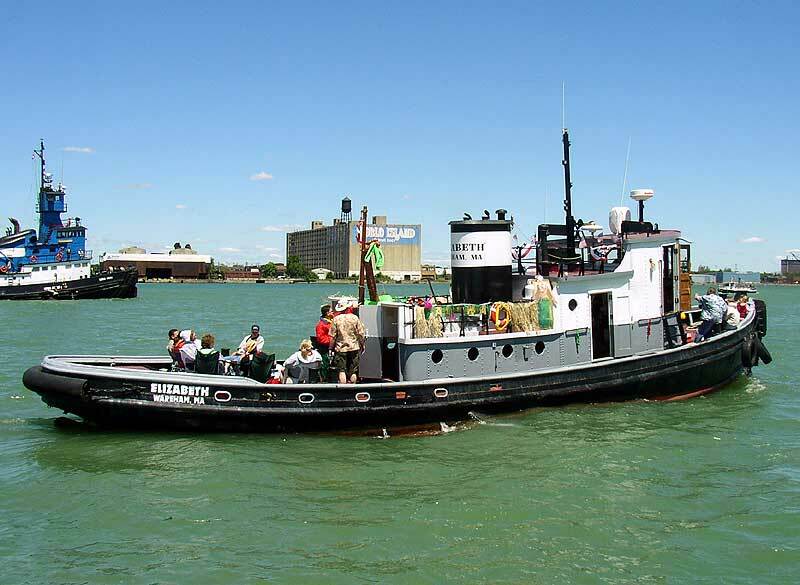 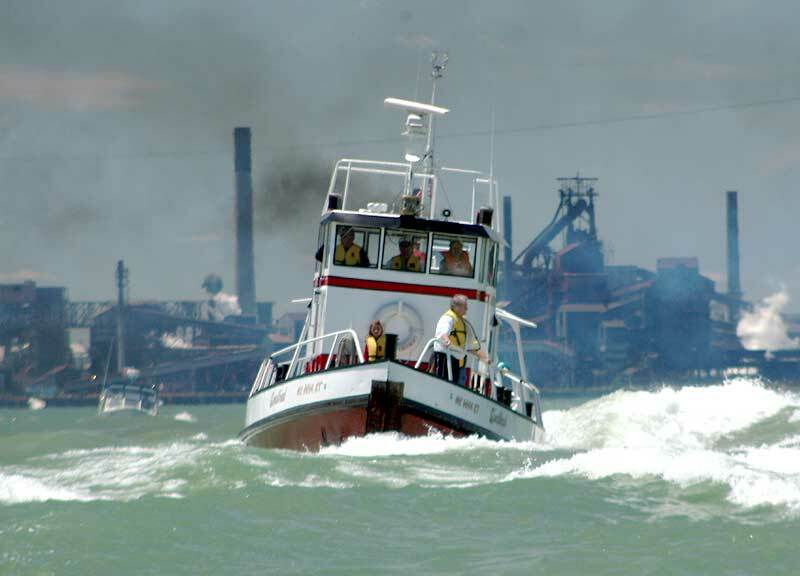 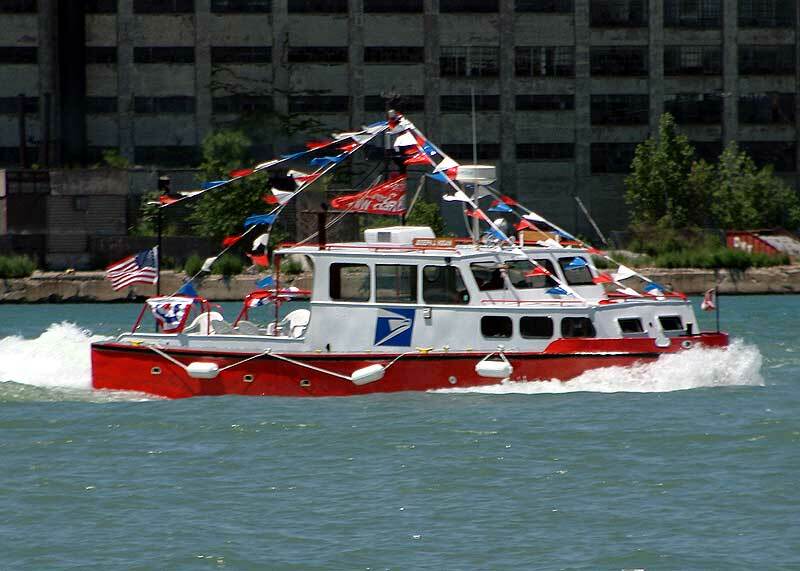 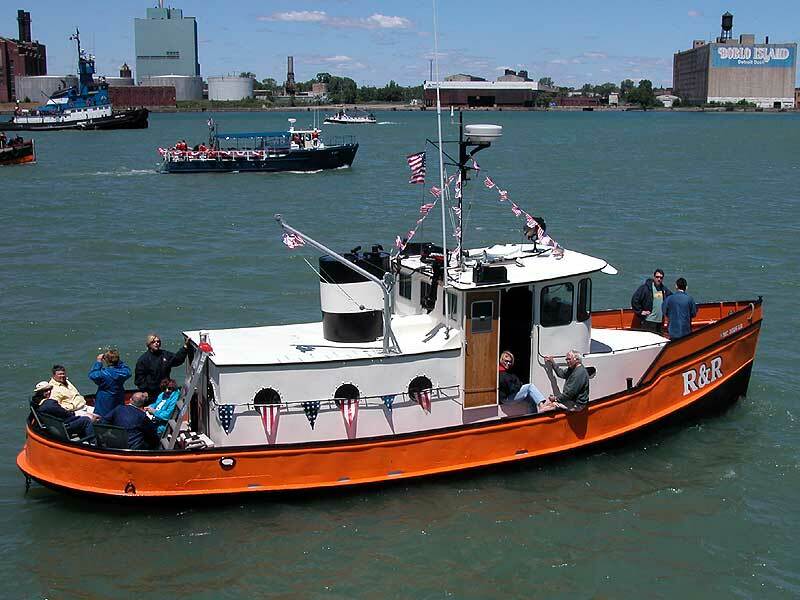 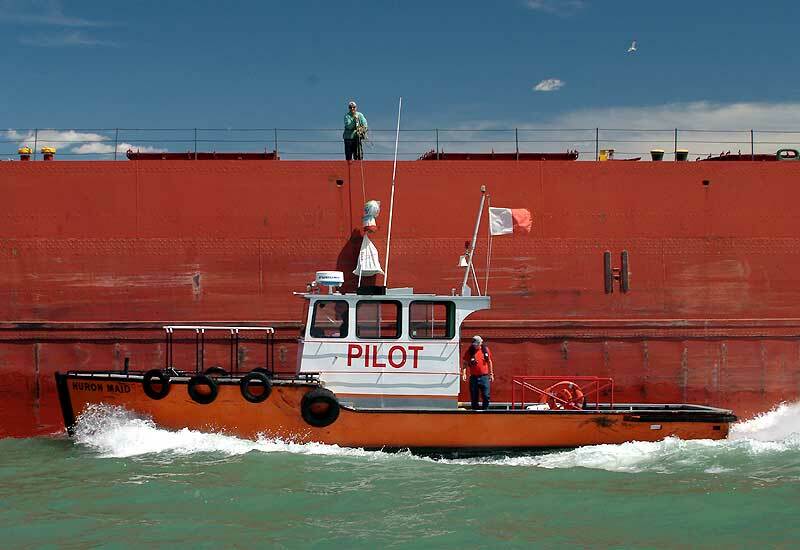 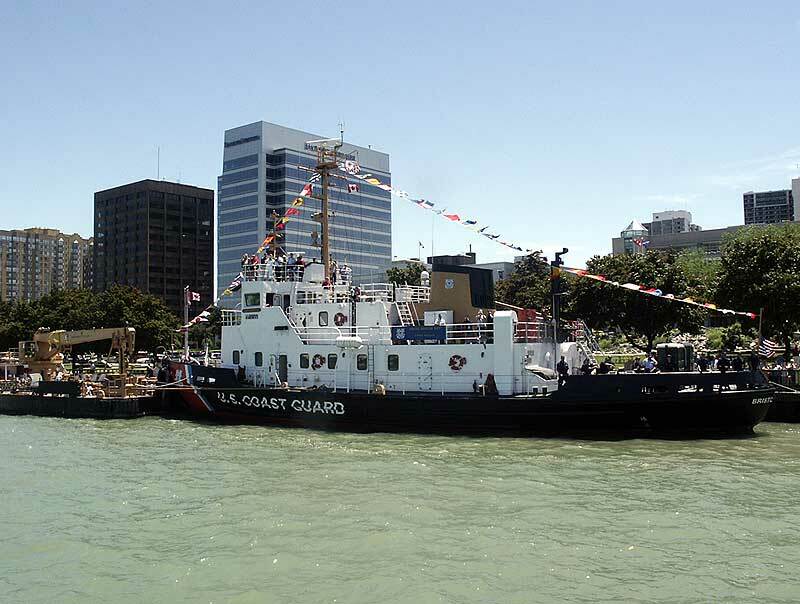 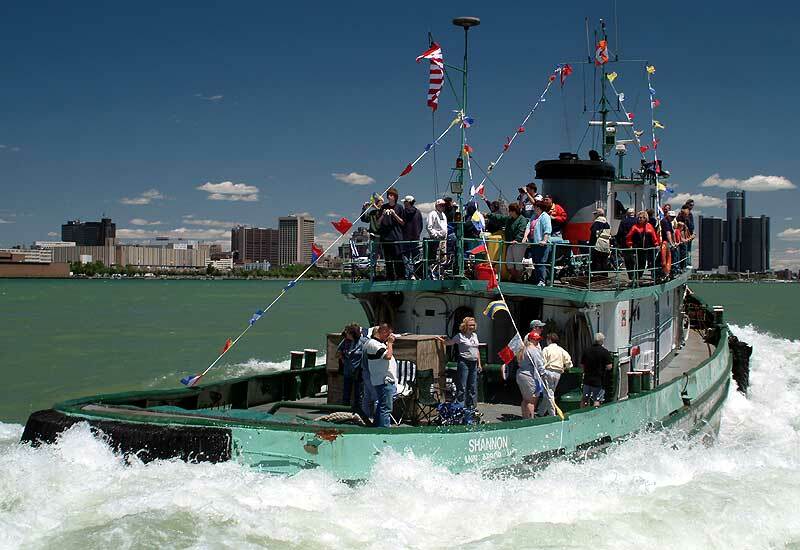 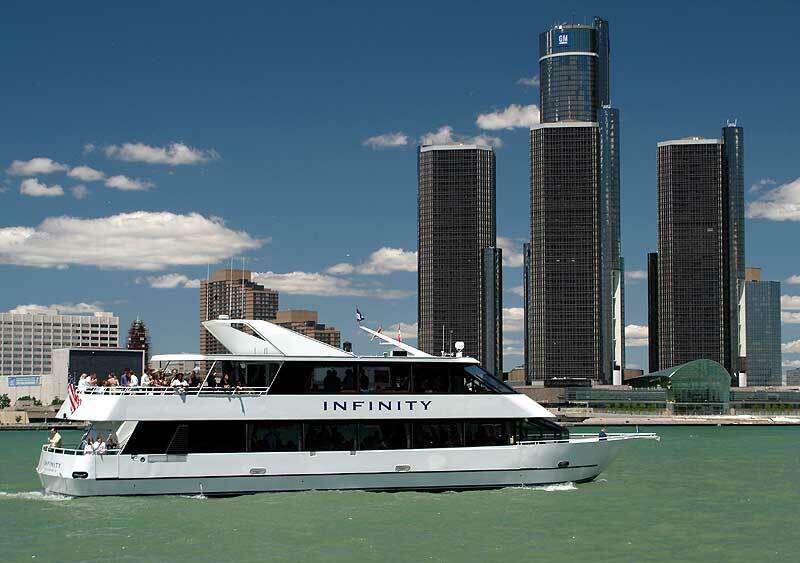 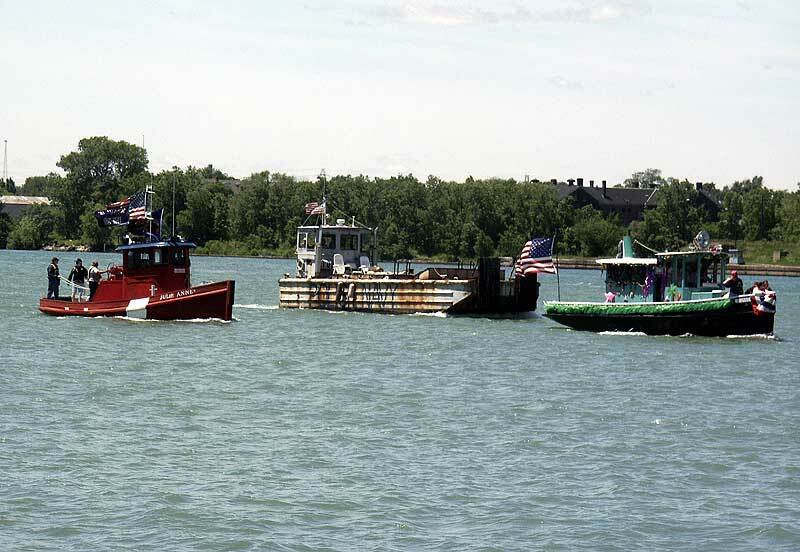 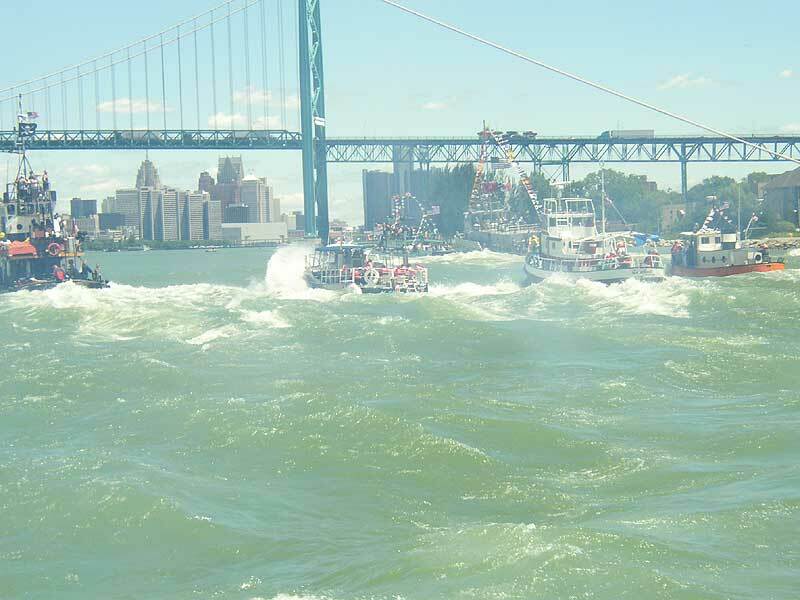 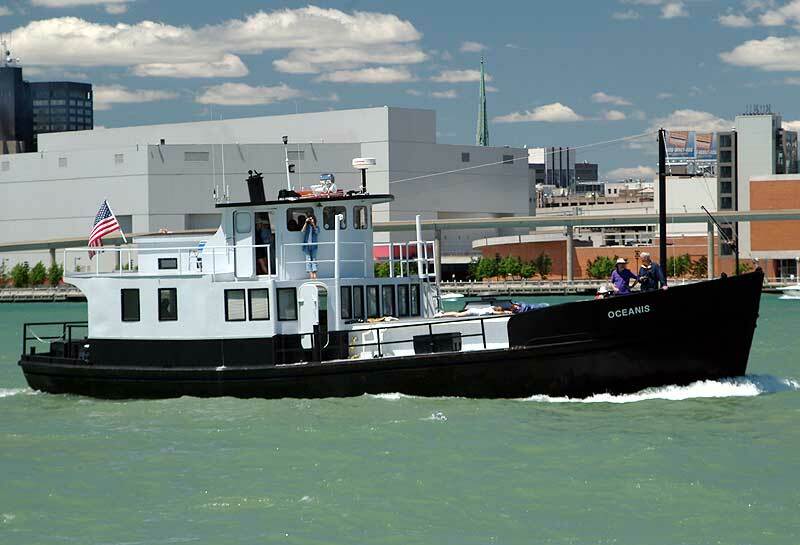 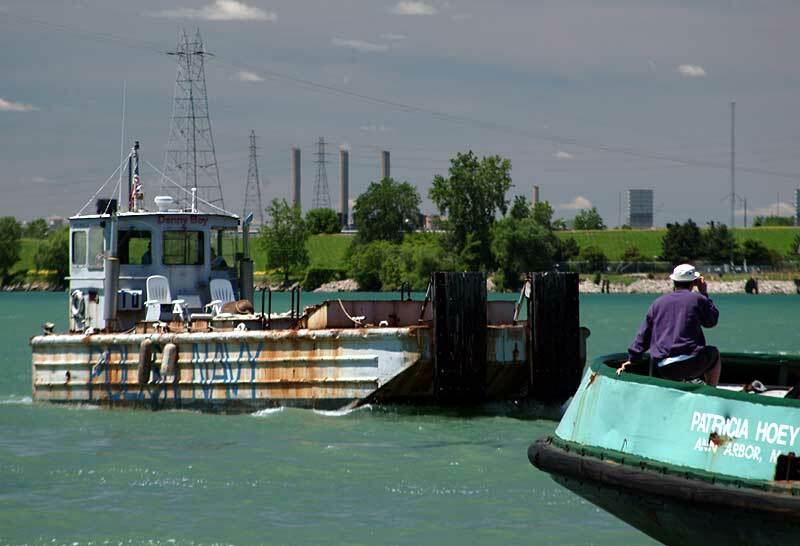 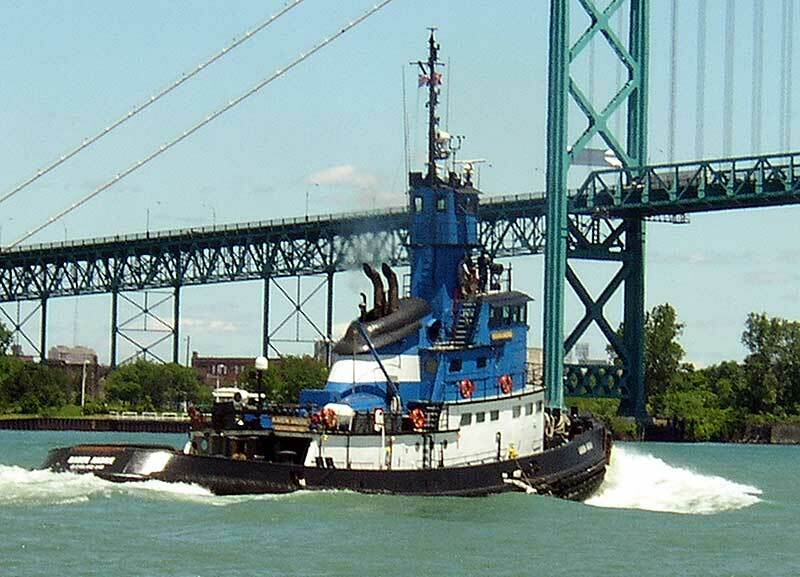 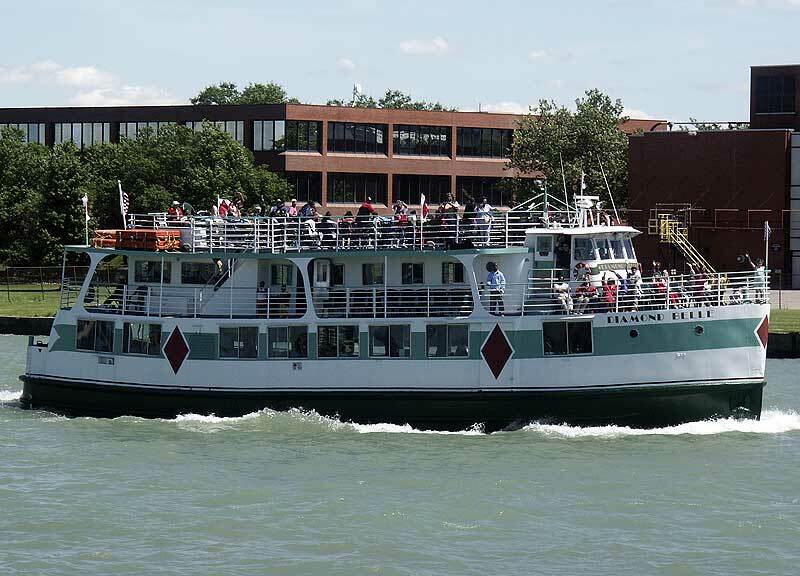 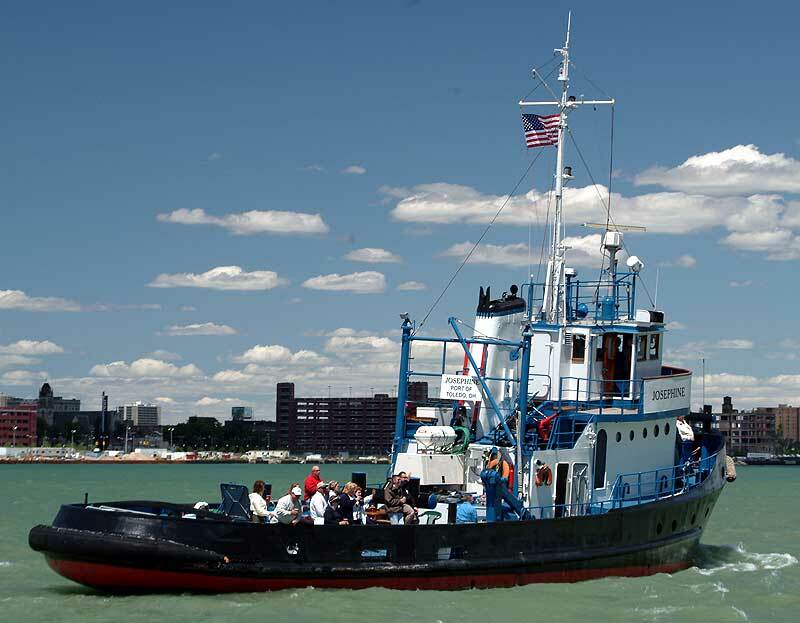 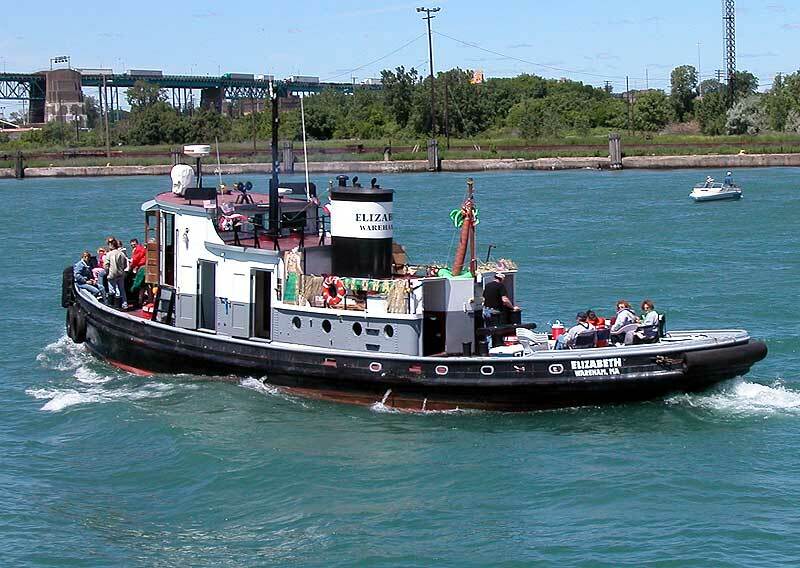 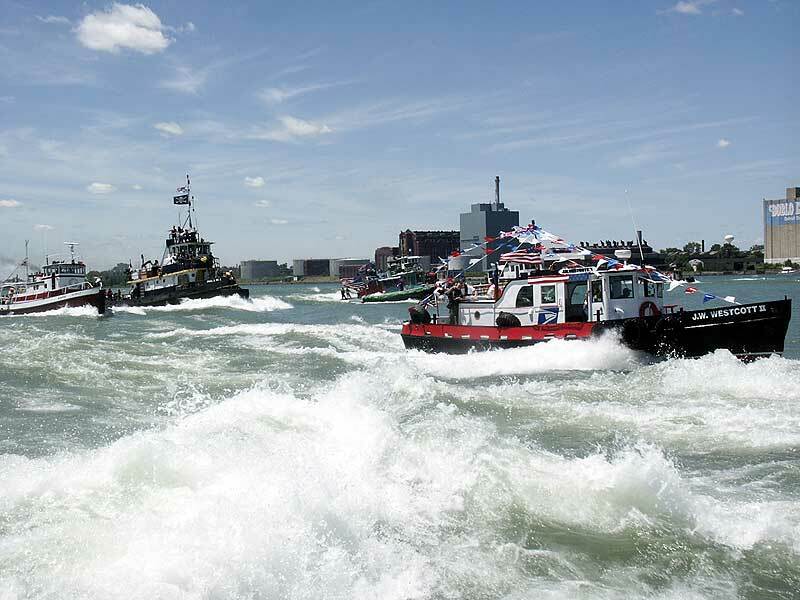 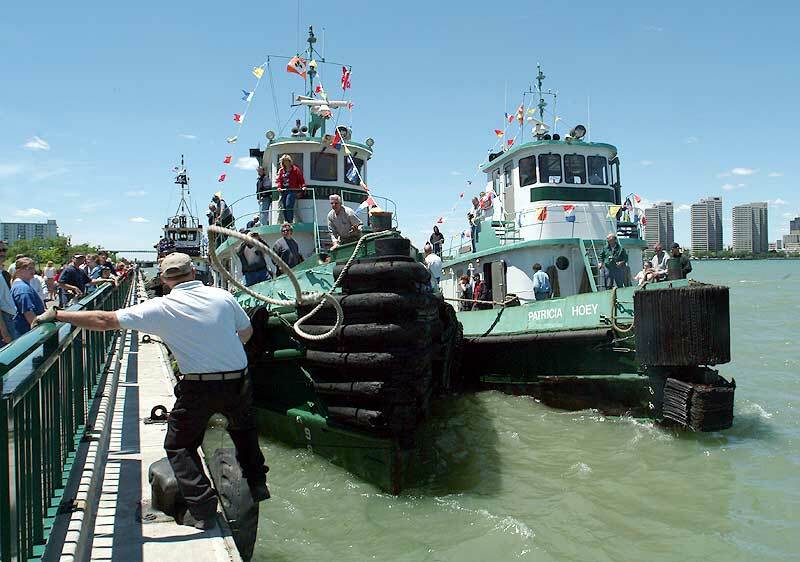 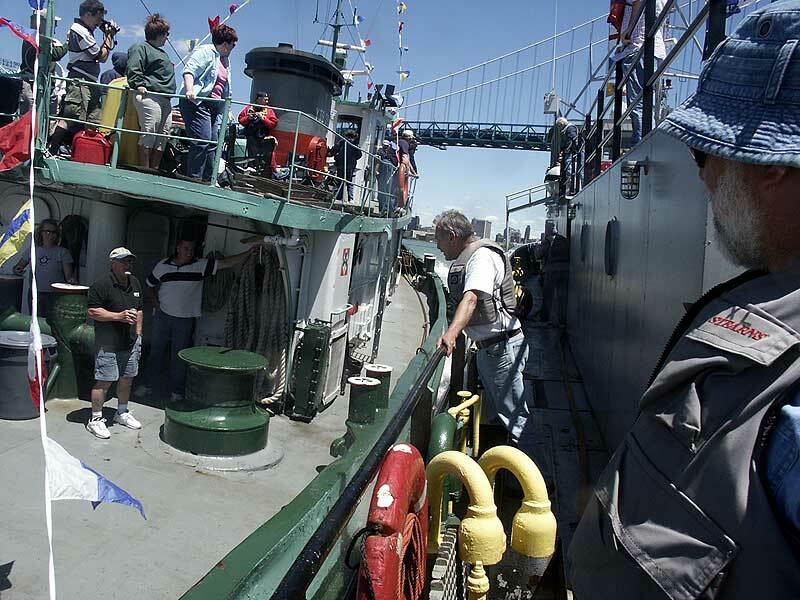 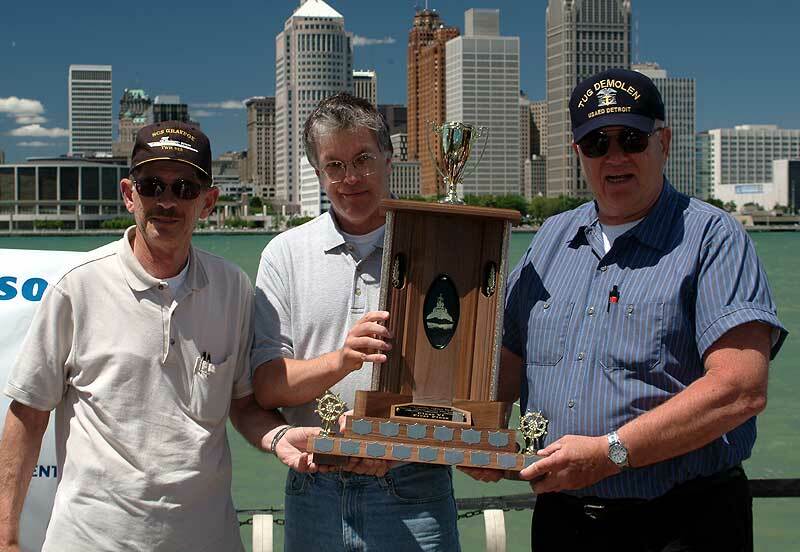 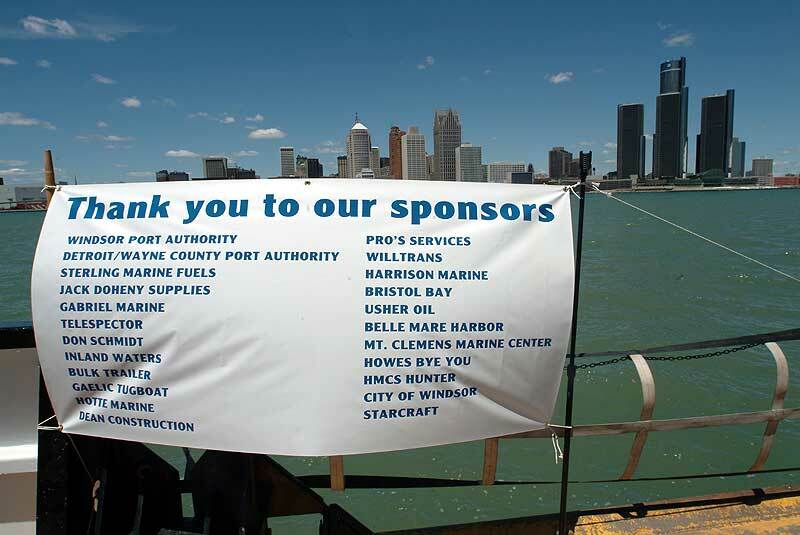 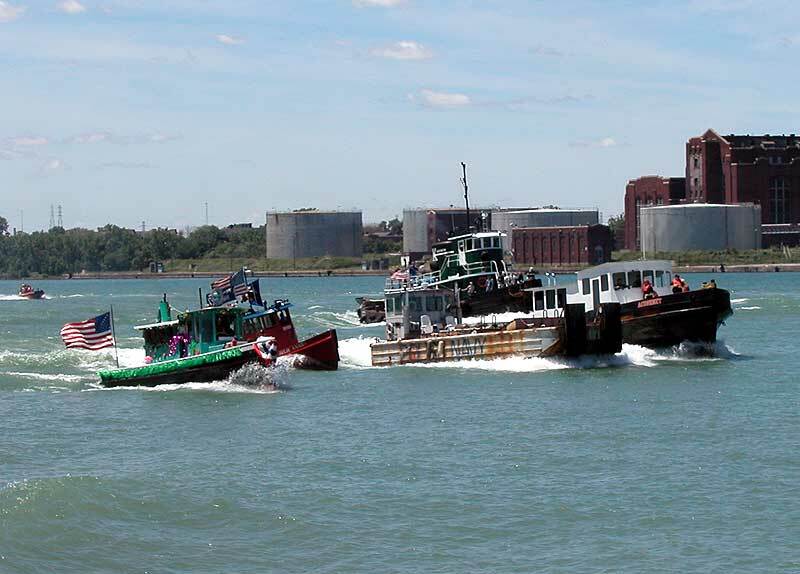 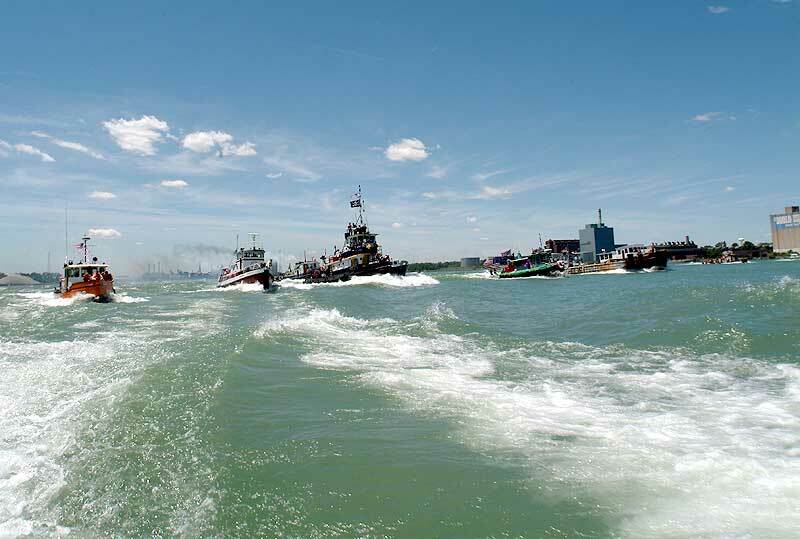 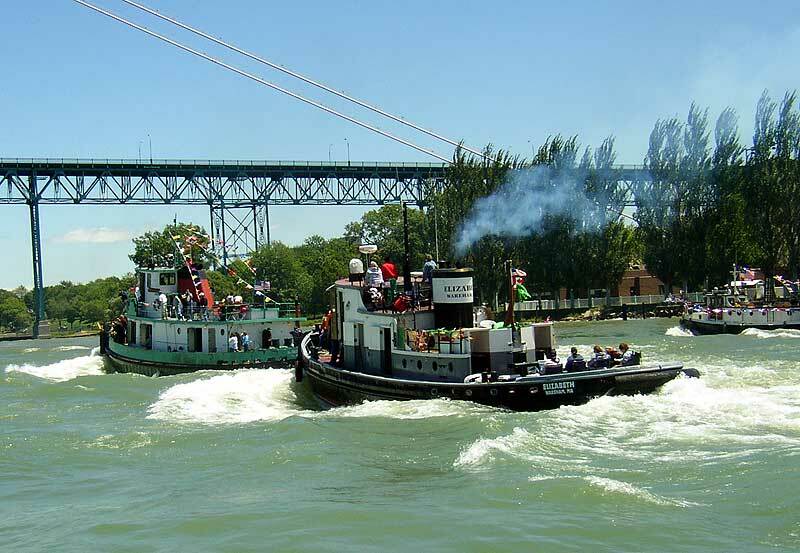 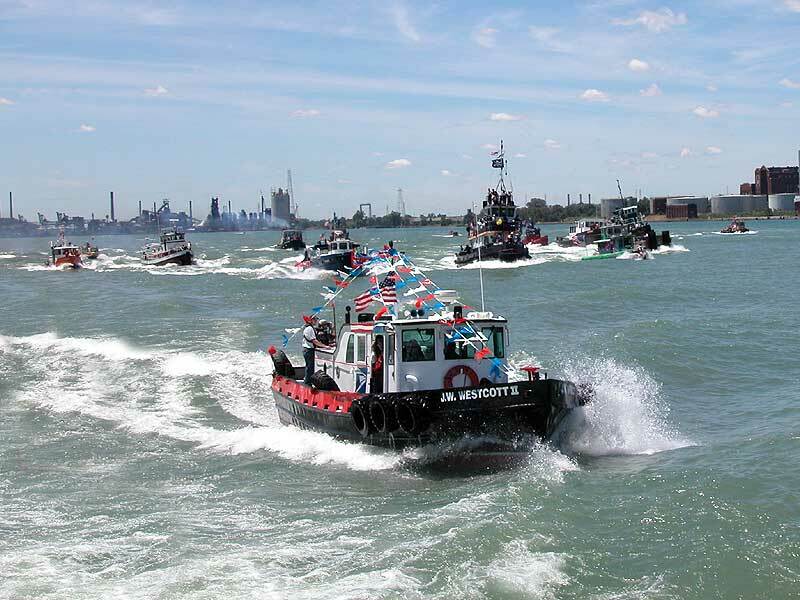 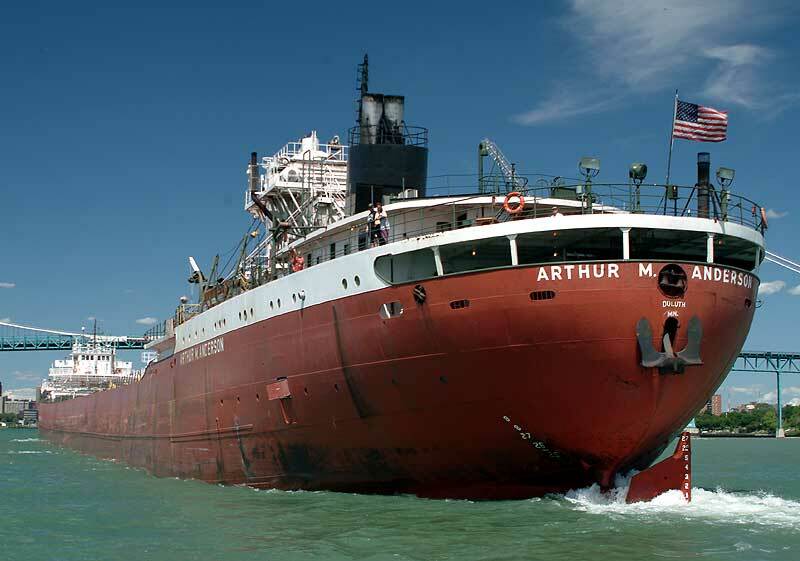 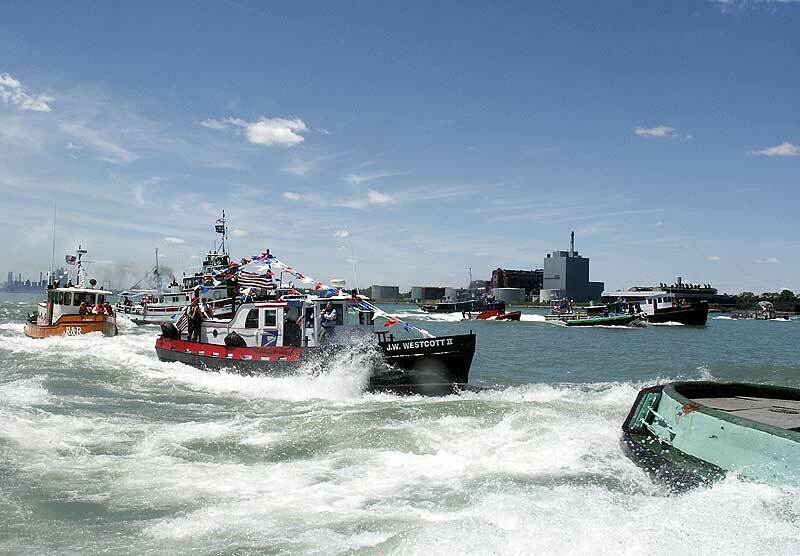 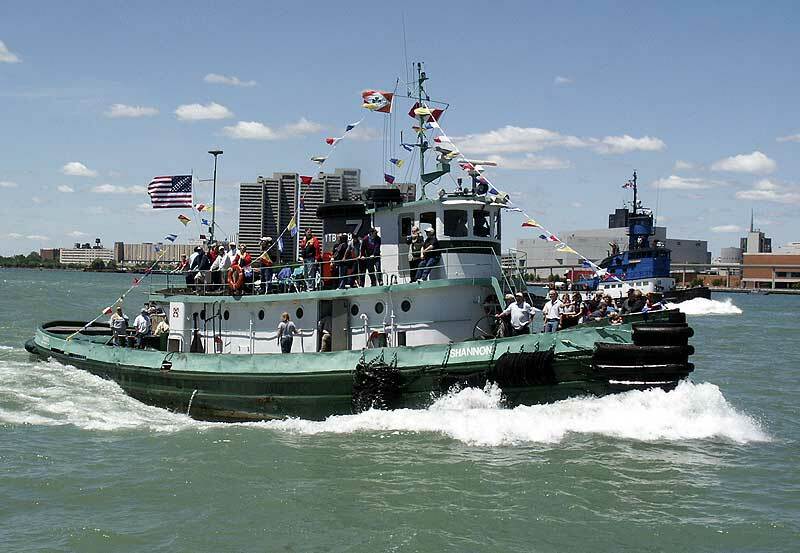 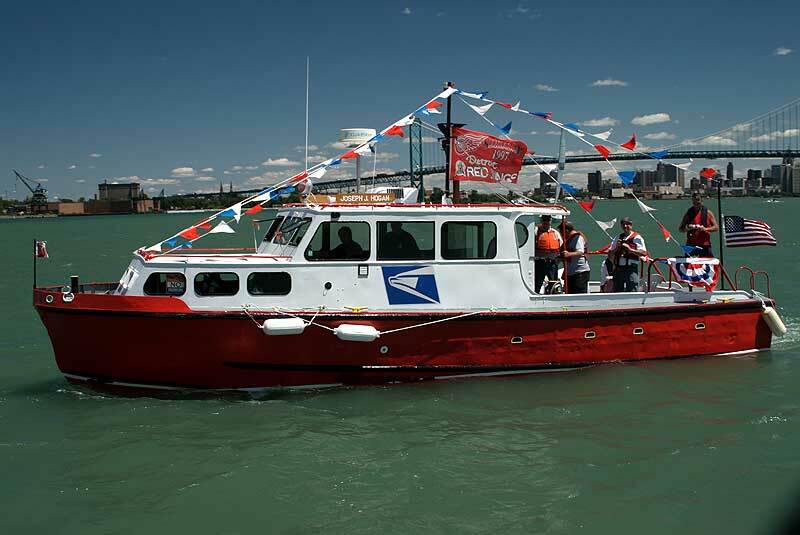 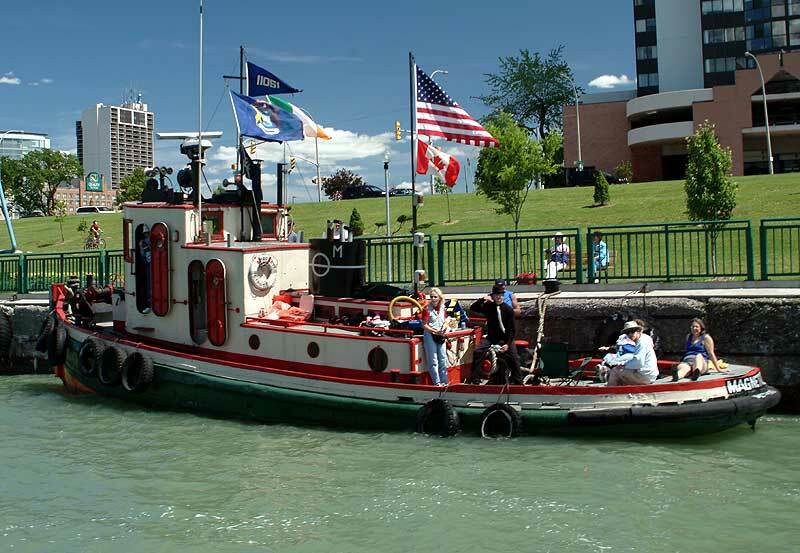 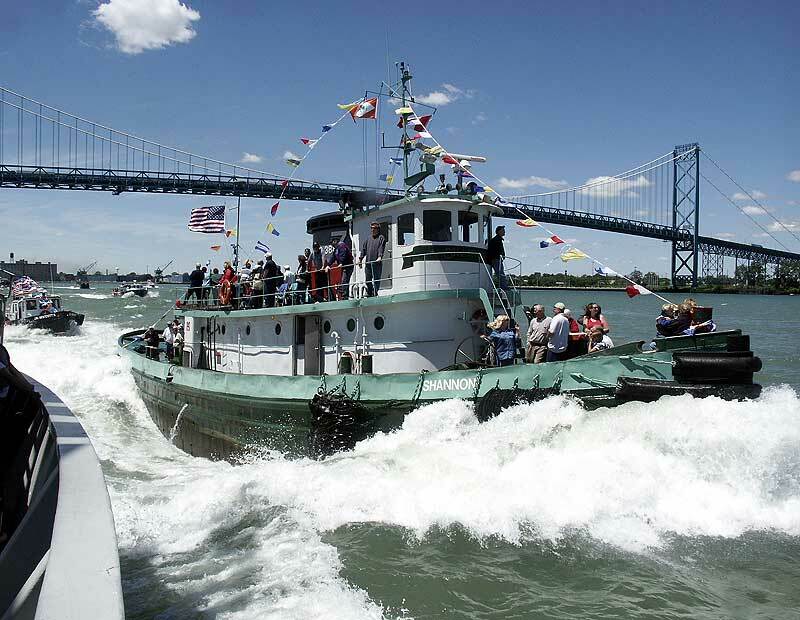 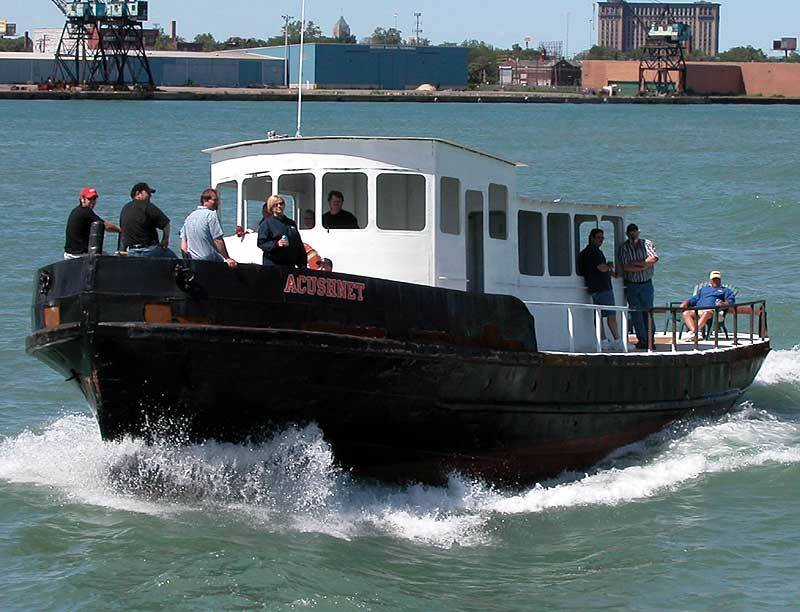 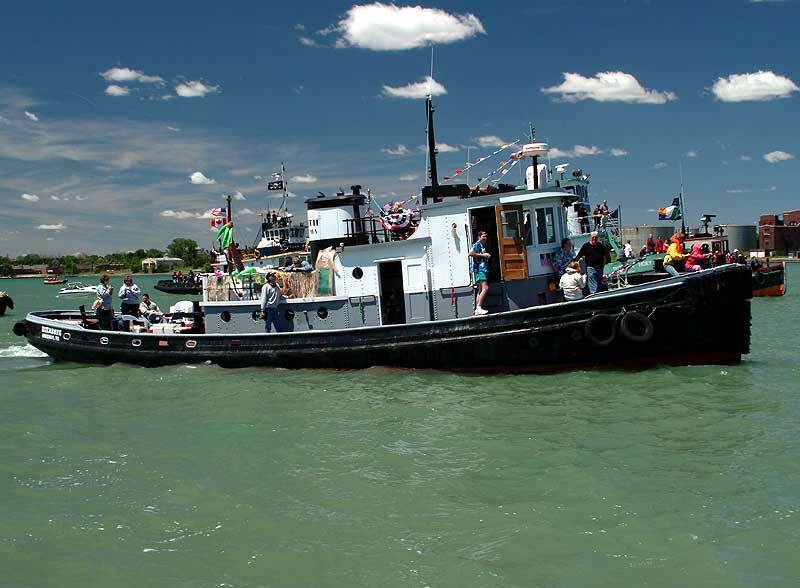 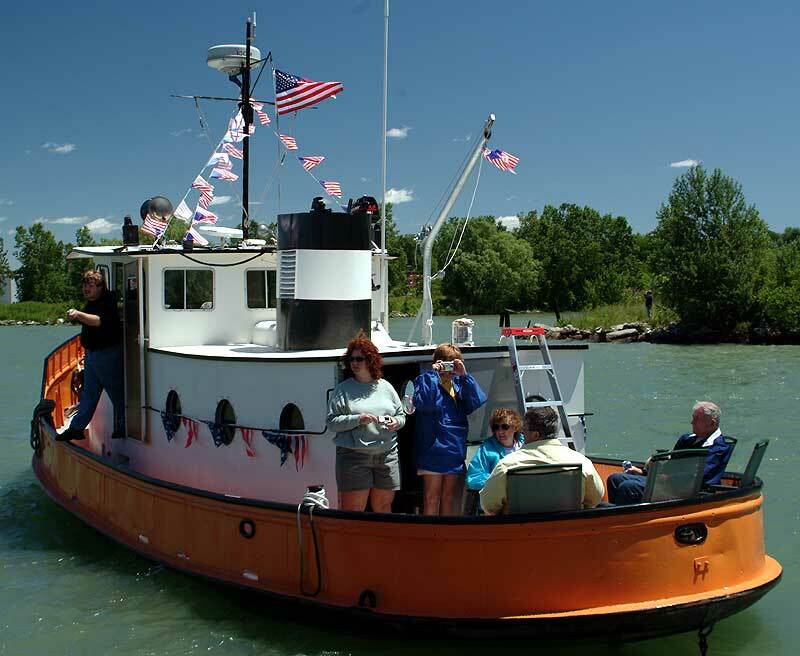 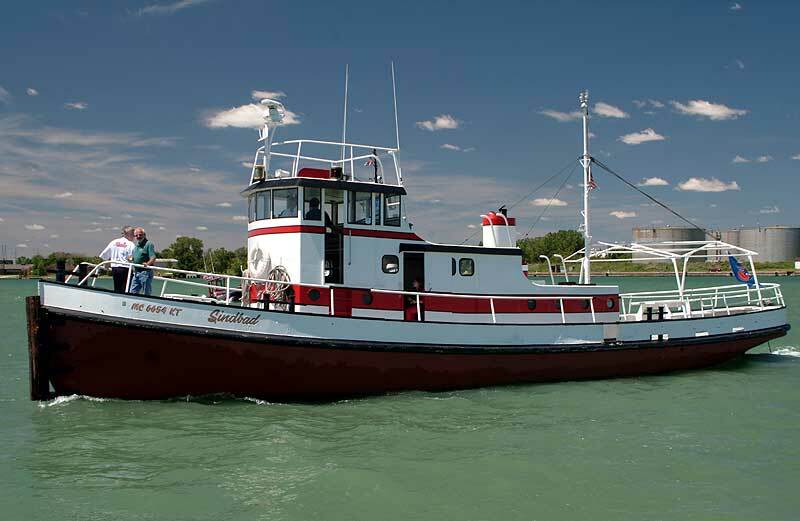 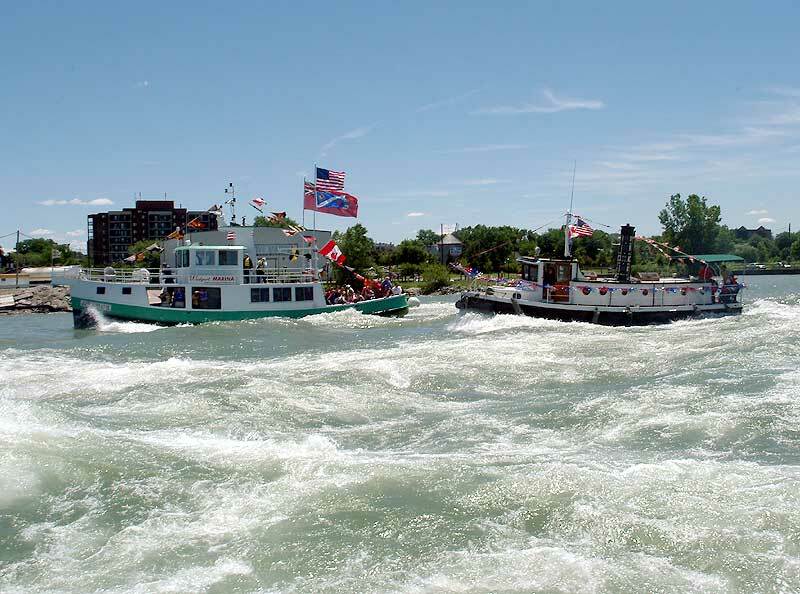 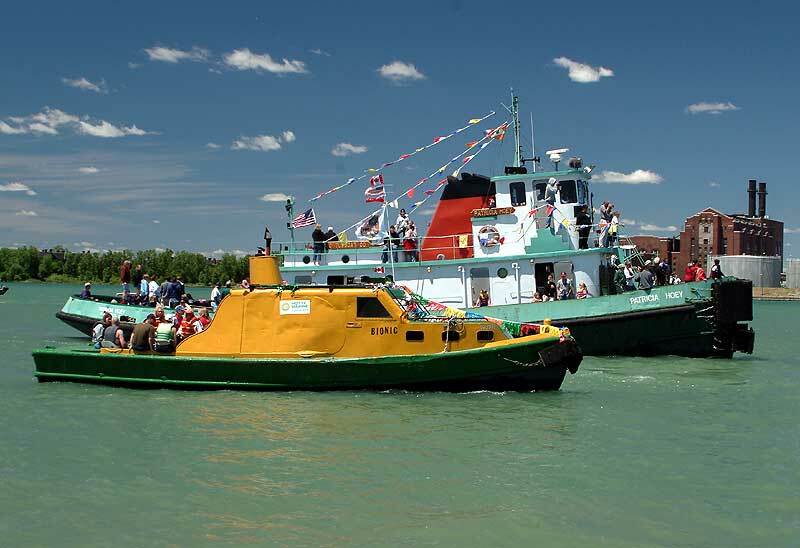 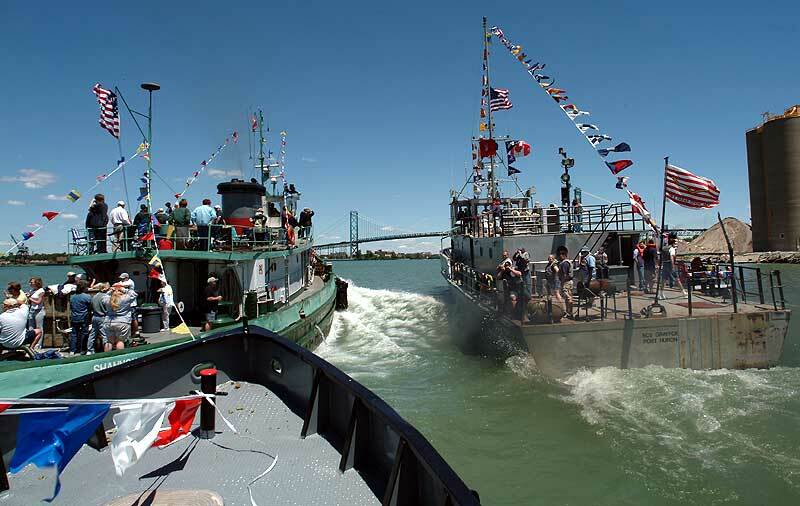 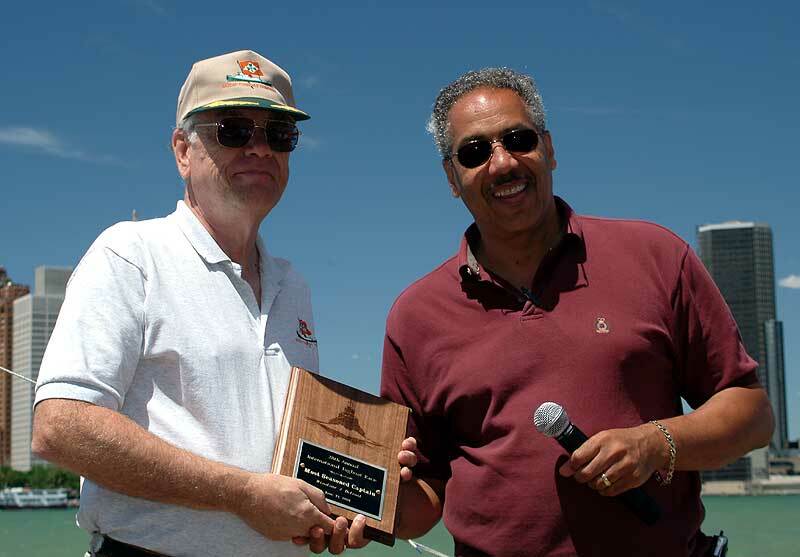 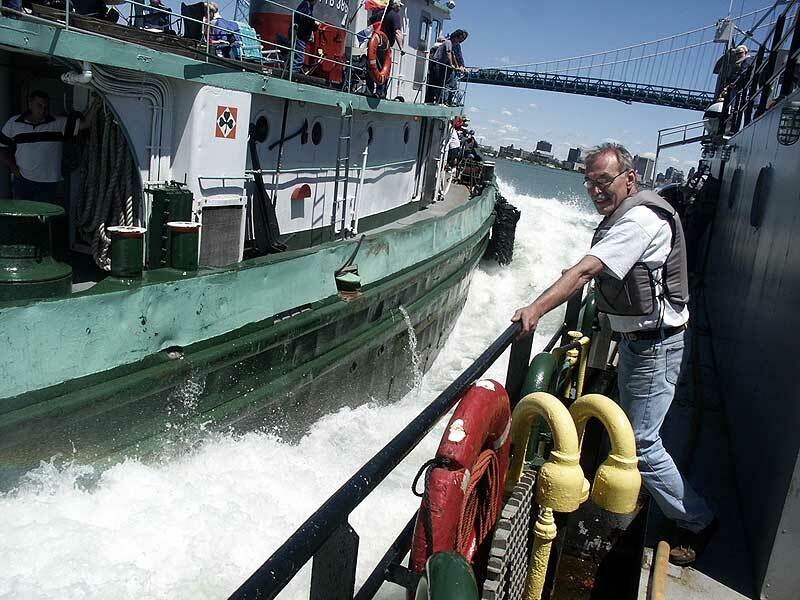 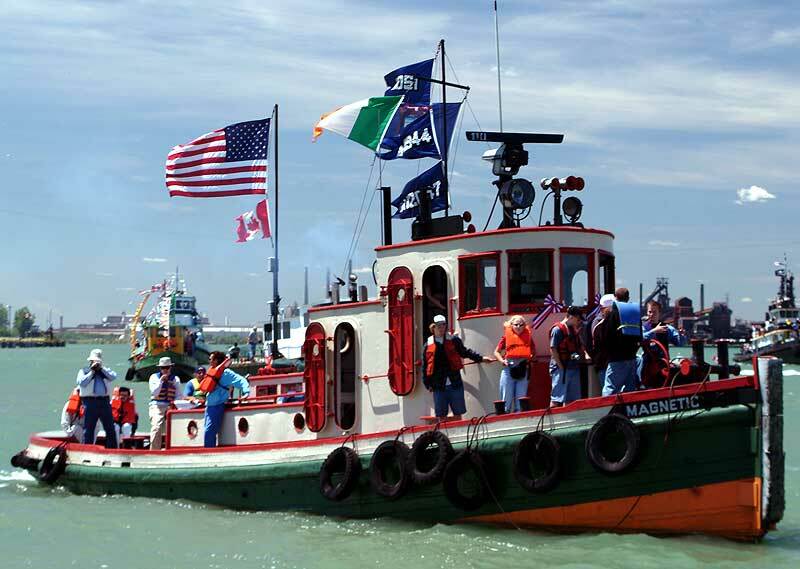 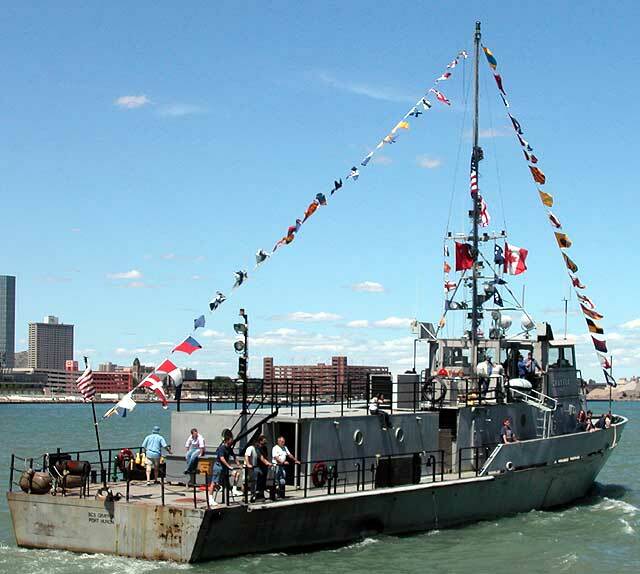 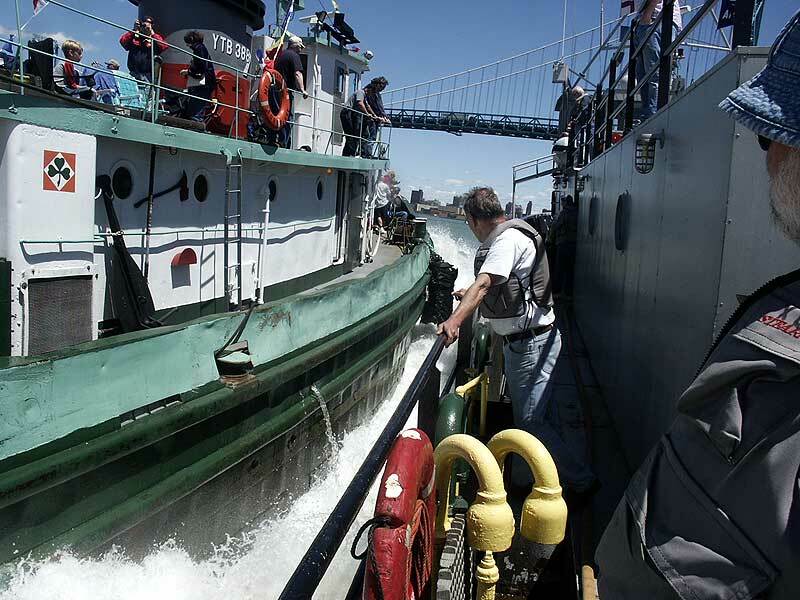 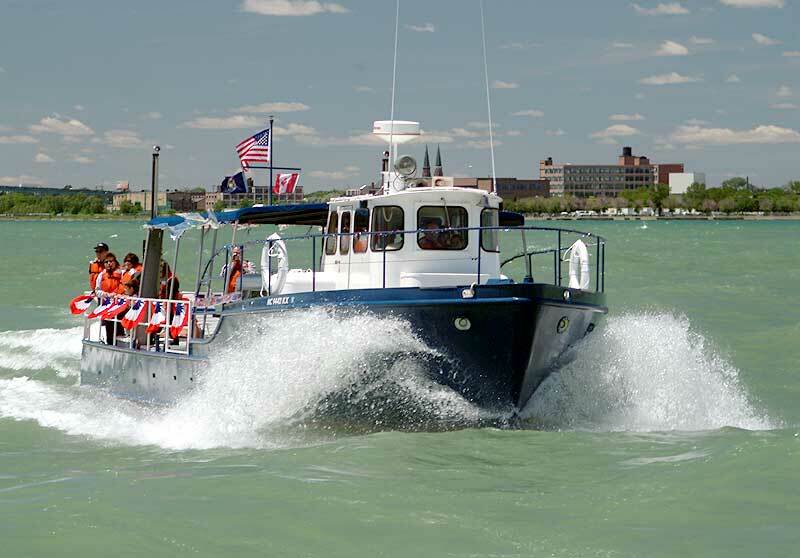 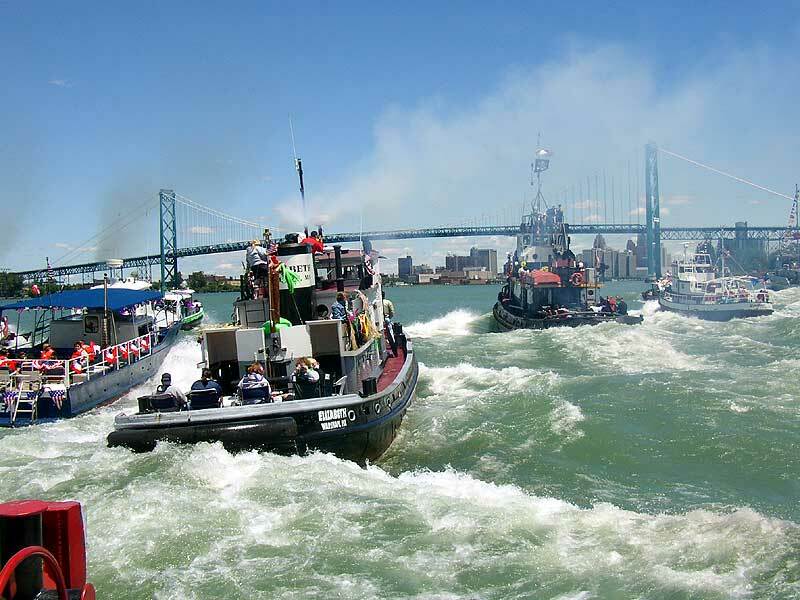 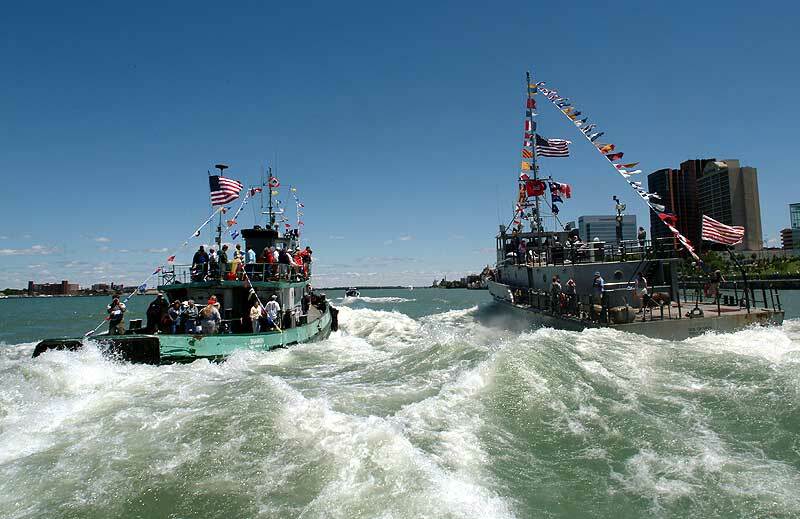 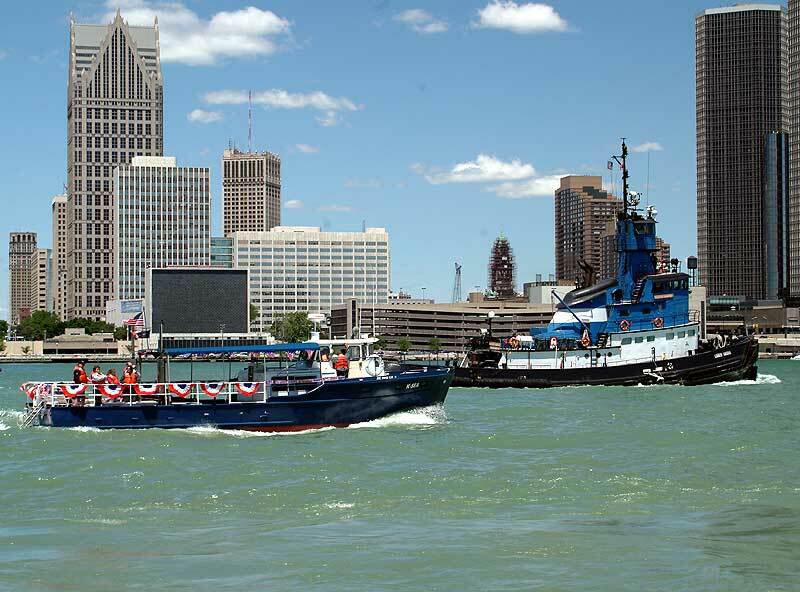 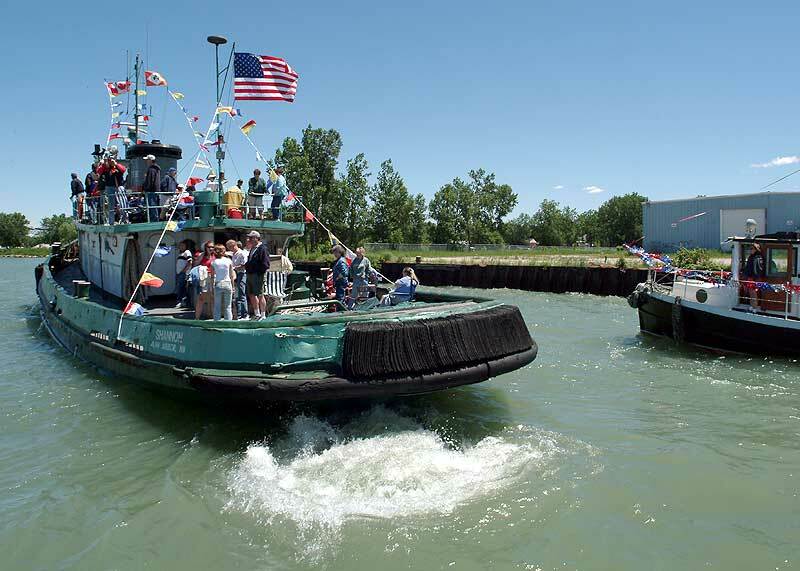 Local Detroit tug man Brian Williams, with help of numerous companies, individuals and the Detroit and Windsor Port Authorities was able to organize the event keeping the tradition alive. 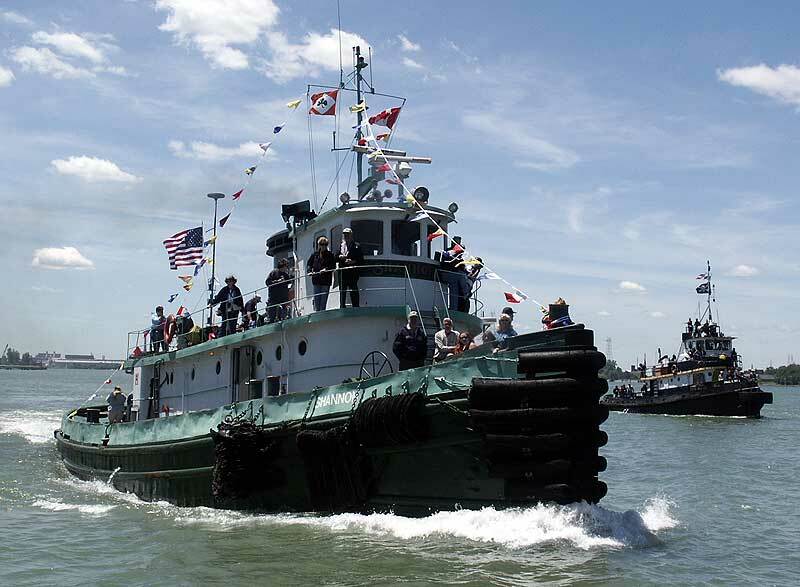 22 tugs took to the river and put on an impressive show for the crowds lined on both sides of the river. 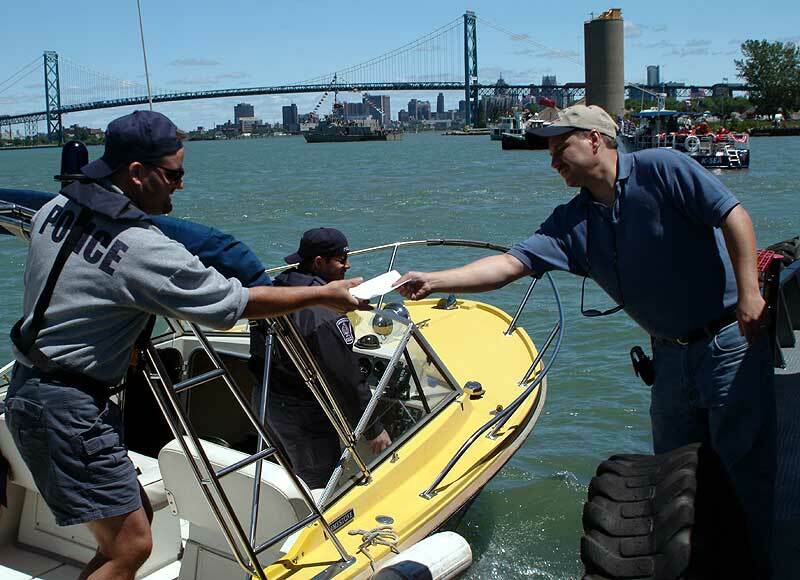 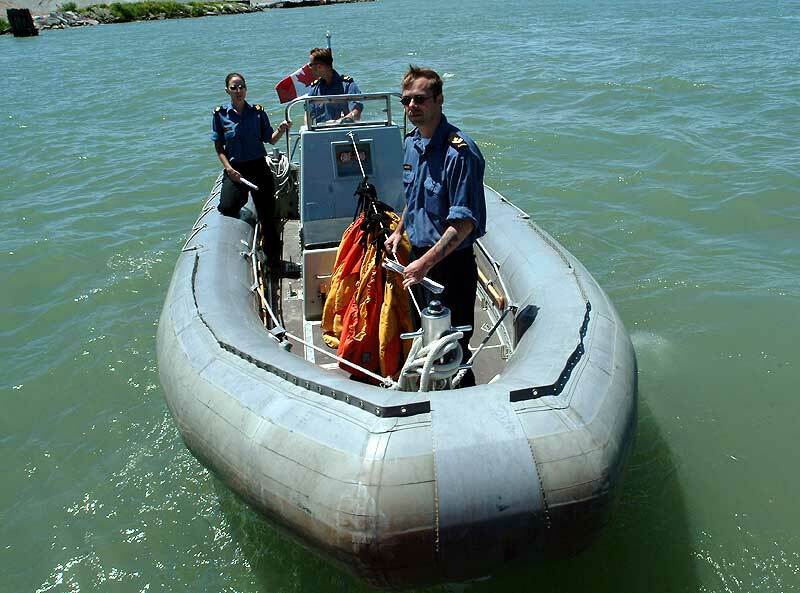 We'll be landing in Canada for the awards ceremony, OPP collects the paper work. 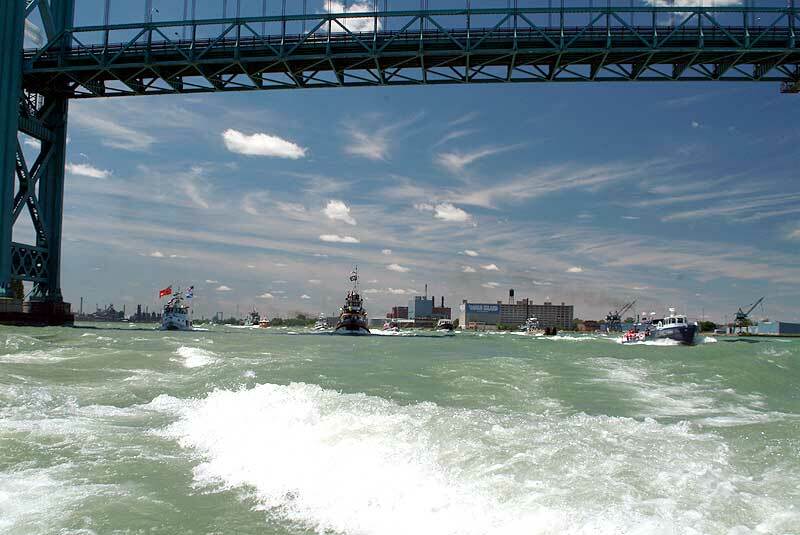 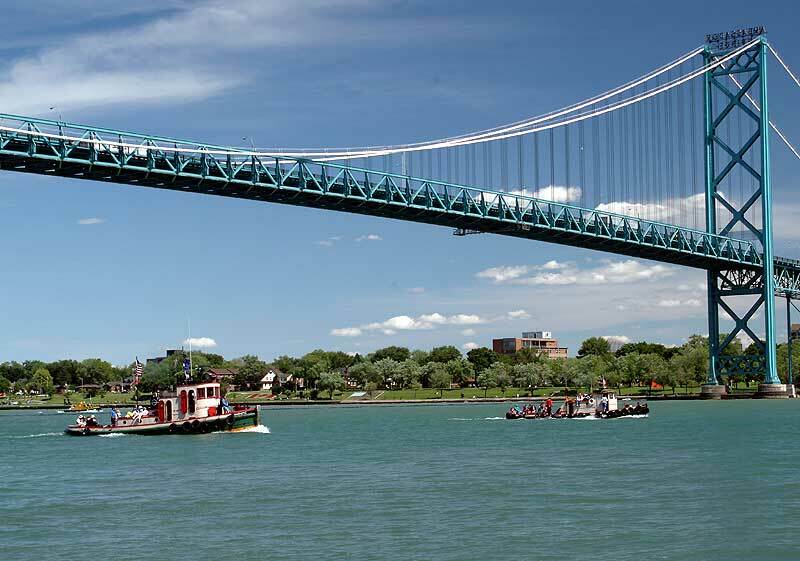 Leaders pass under the Ambassador Bridge. 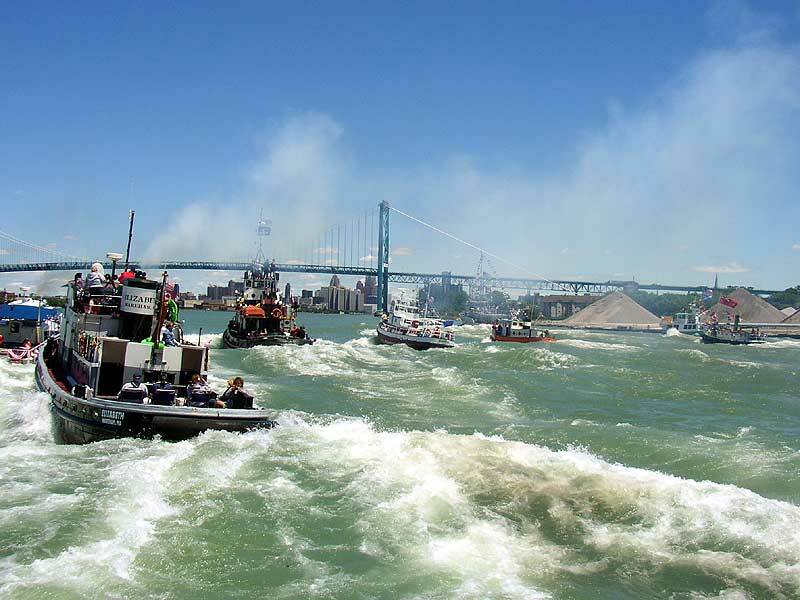 Exhaust smoke fills the river.